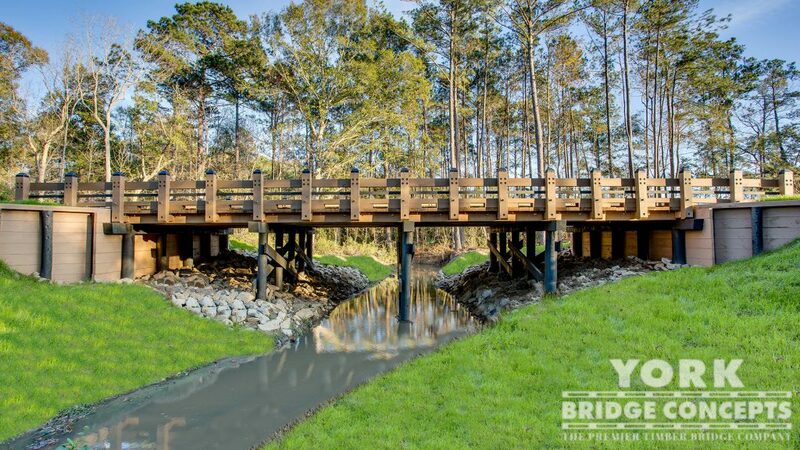 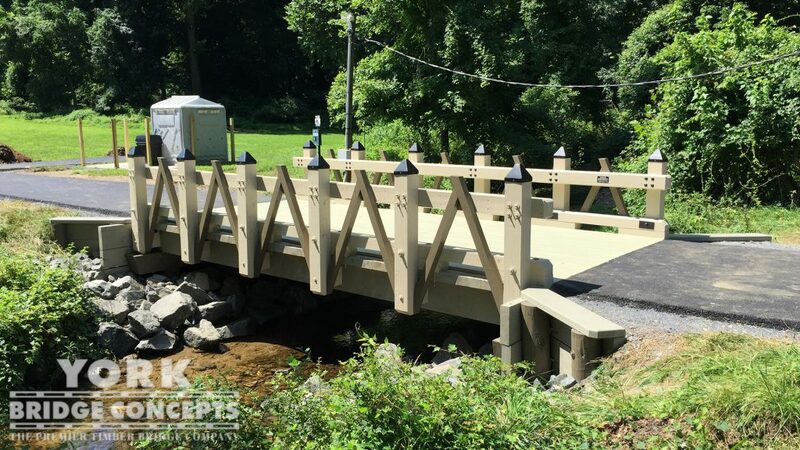 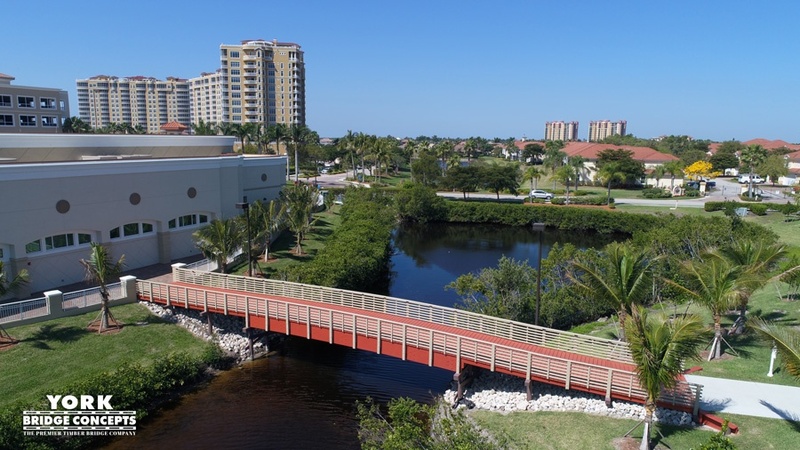 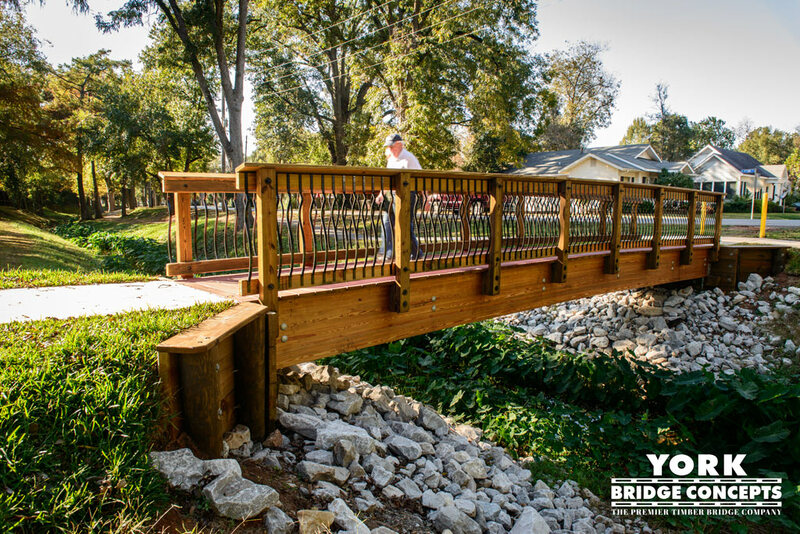 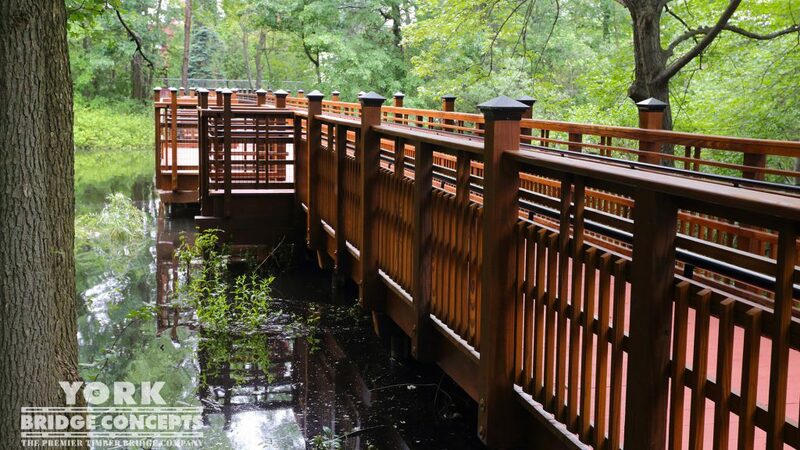 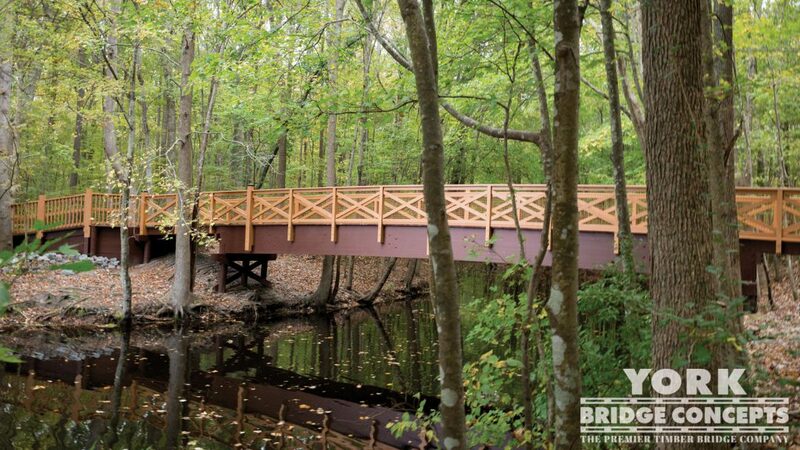 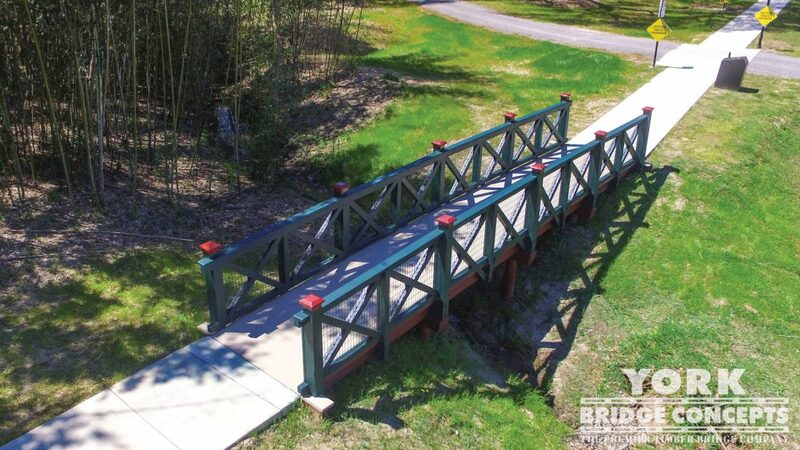 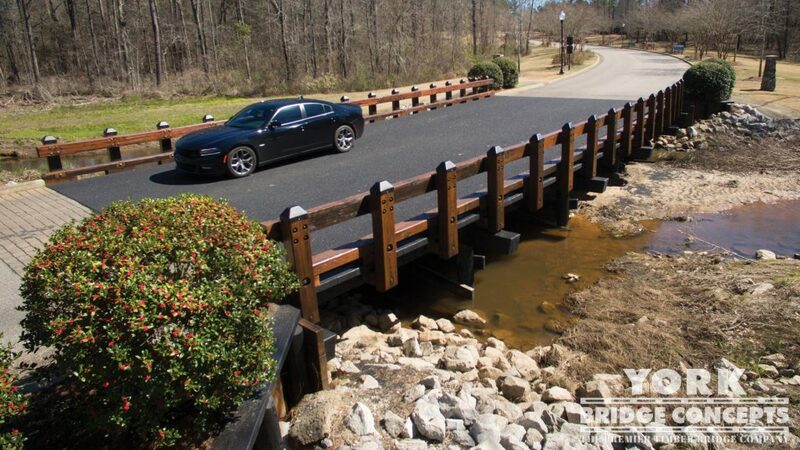 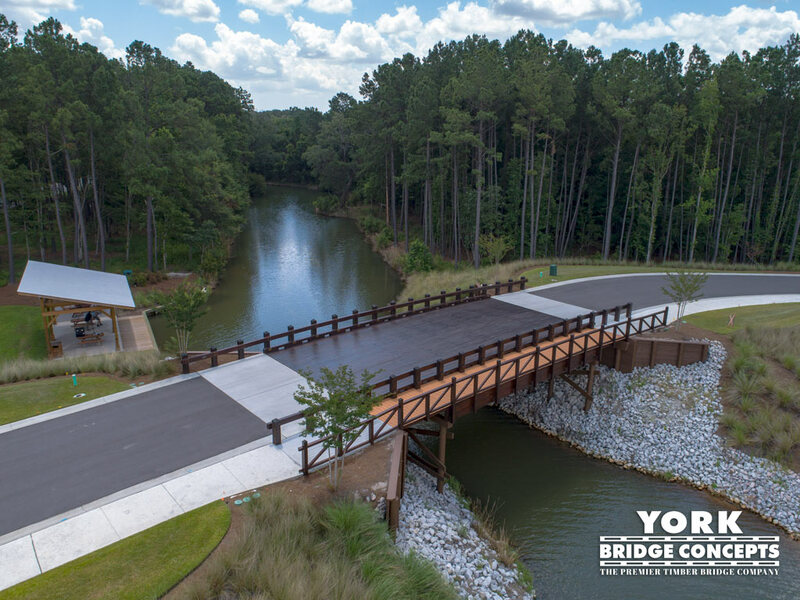 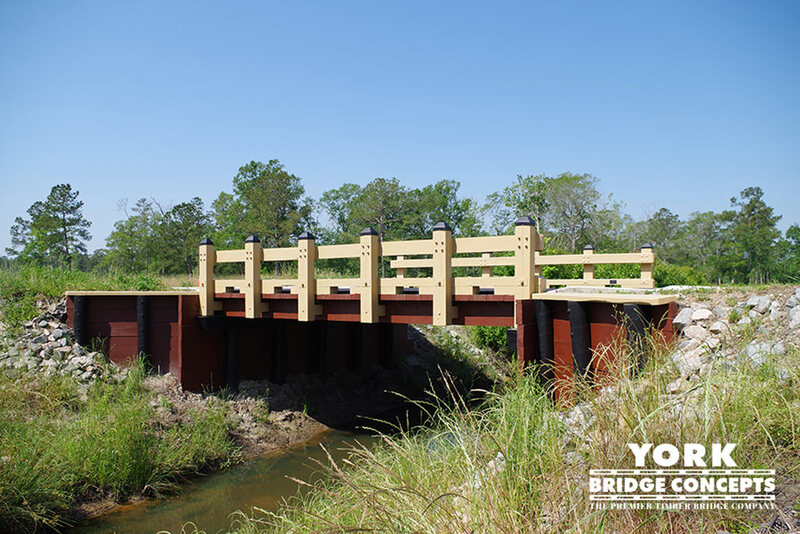 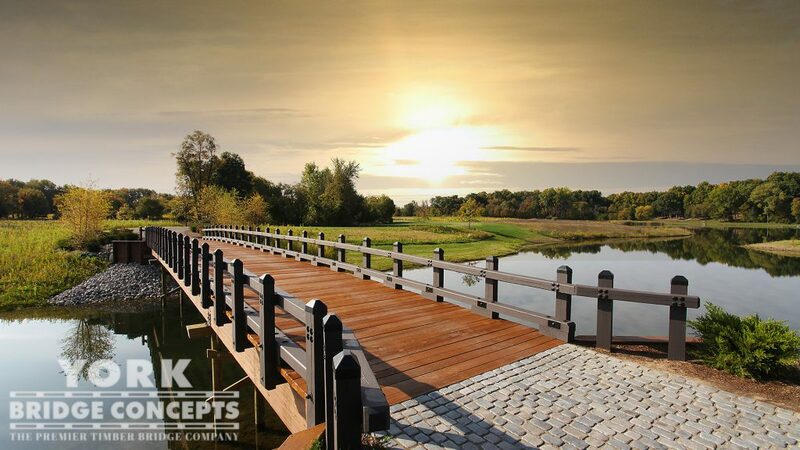 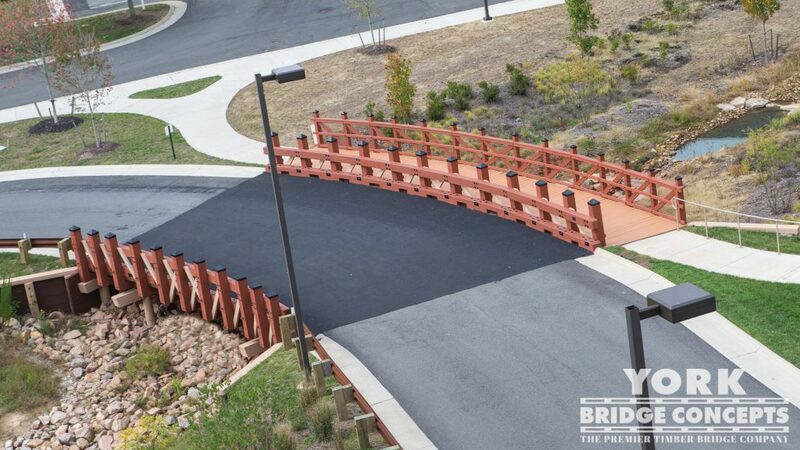 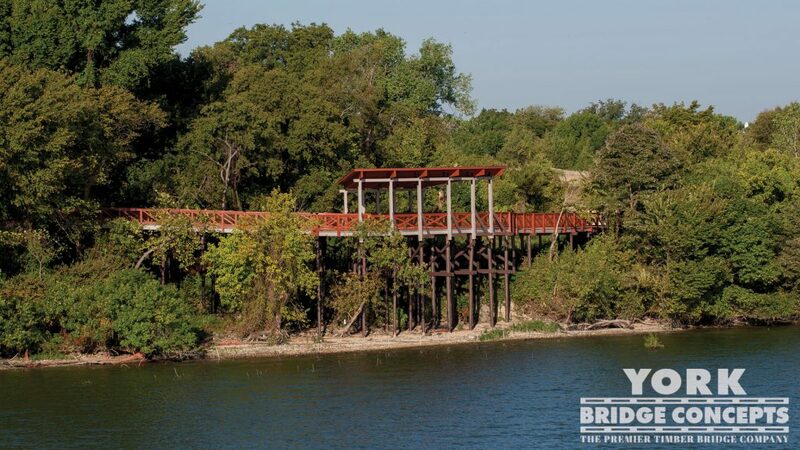 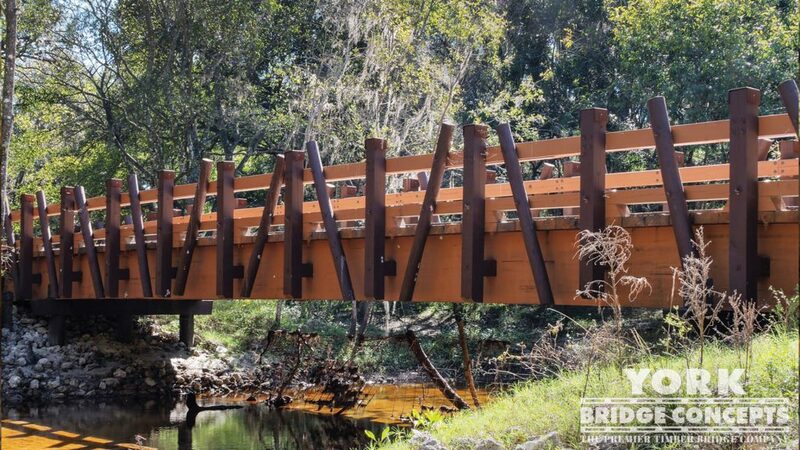 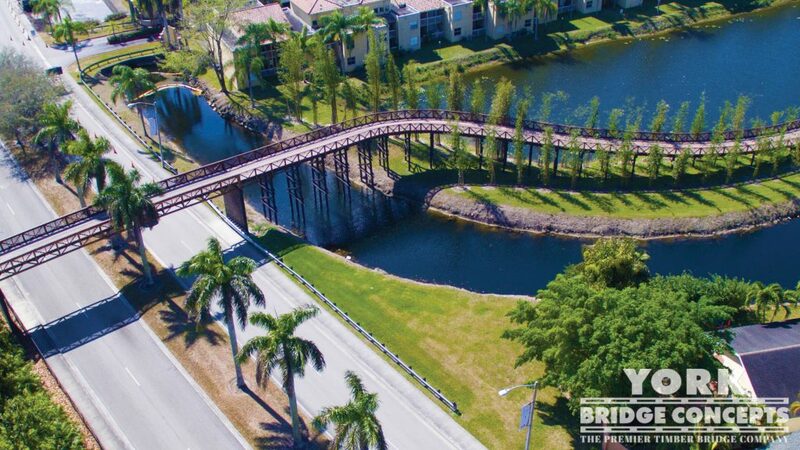 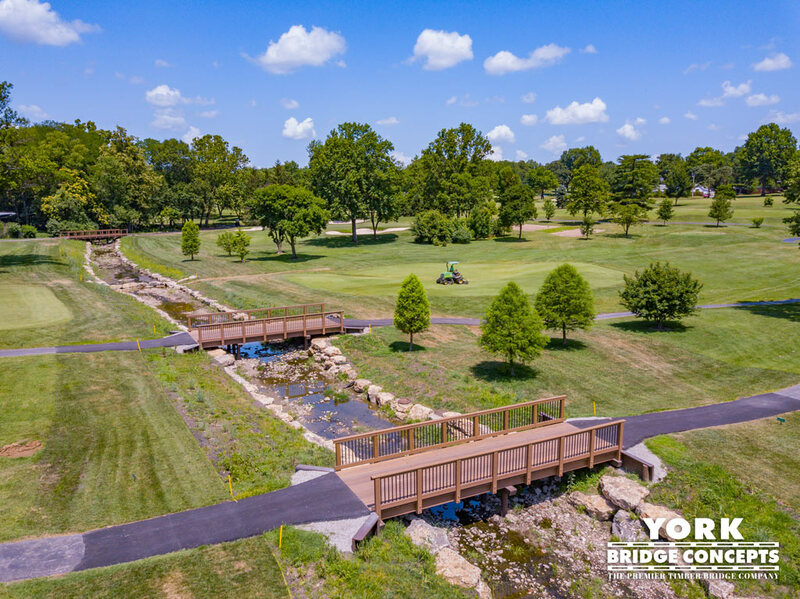 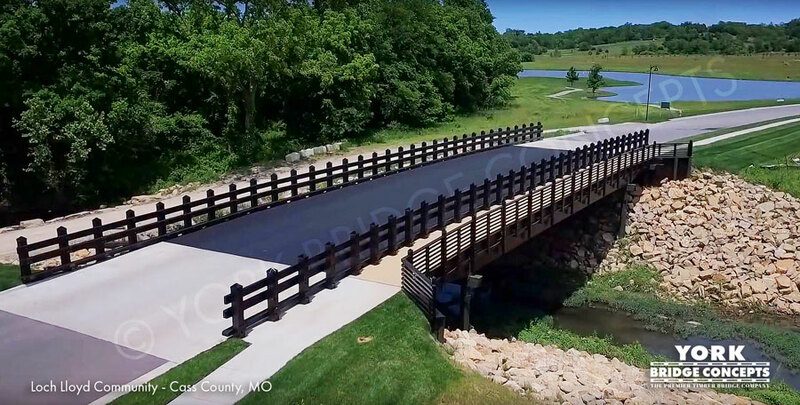 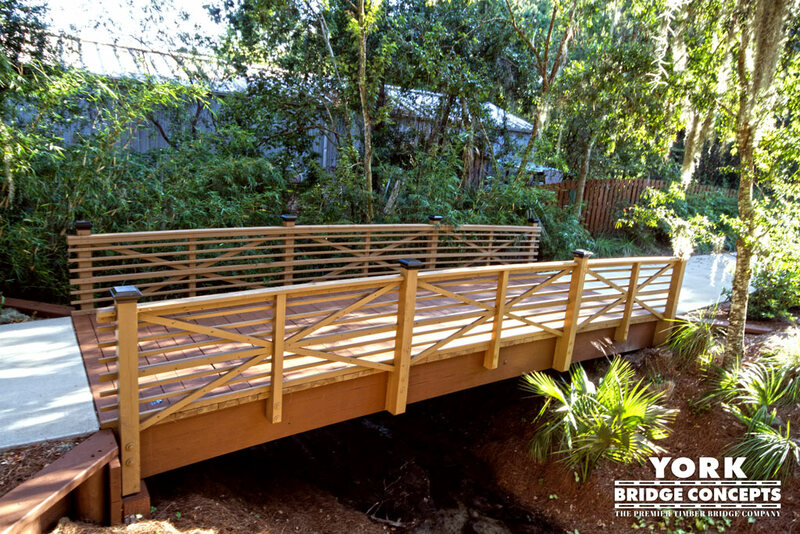 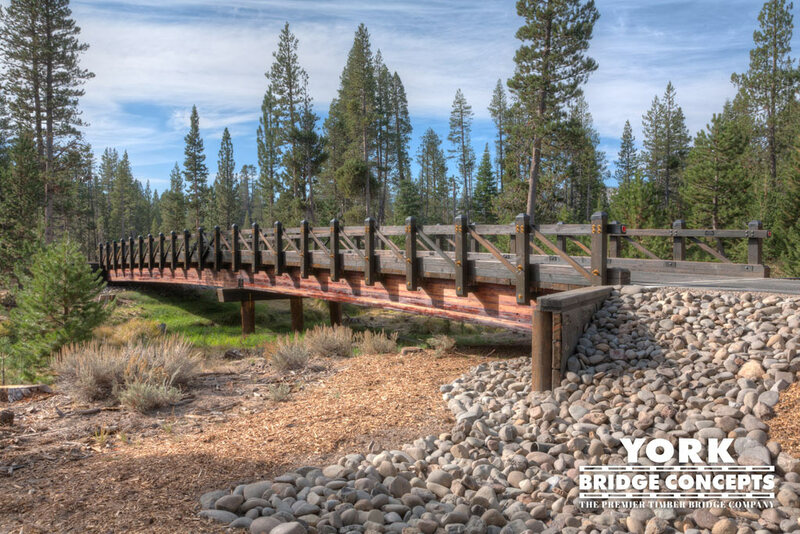 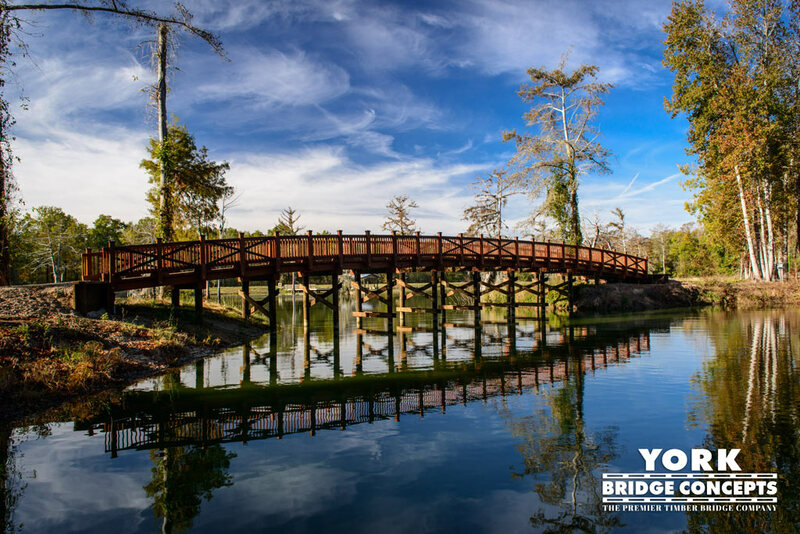 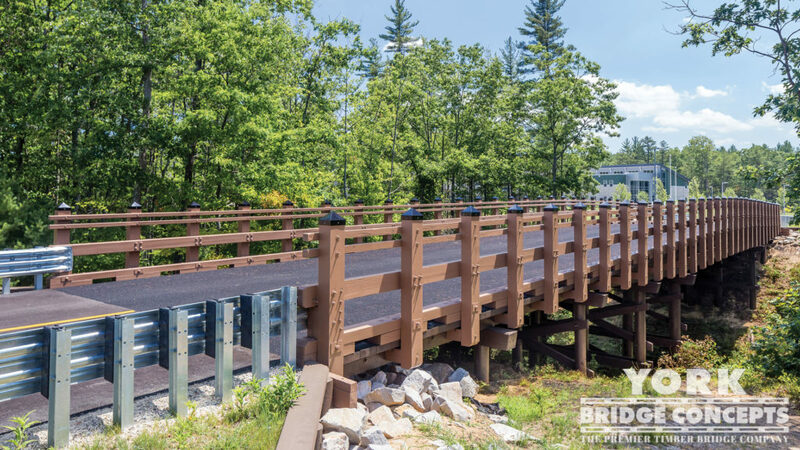 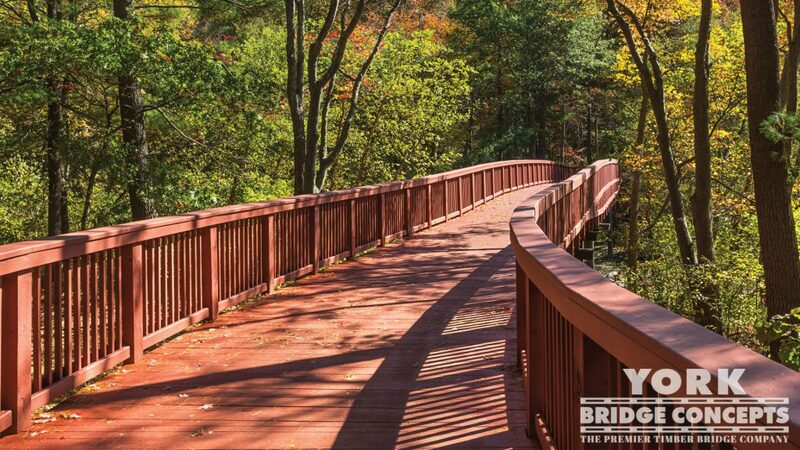 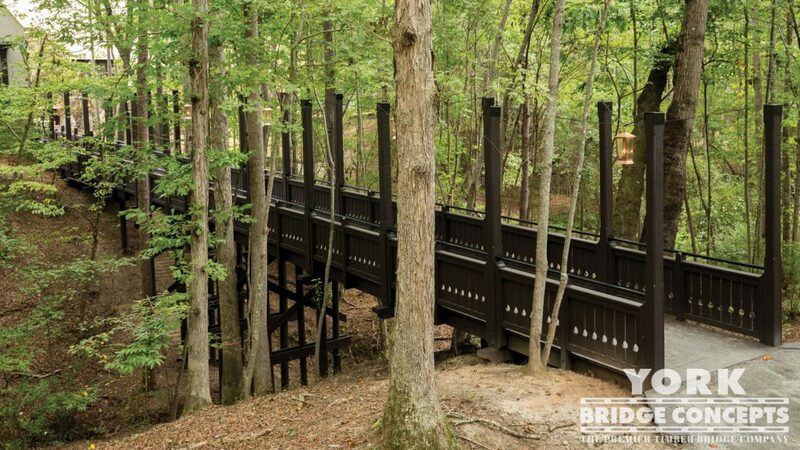 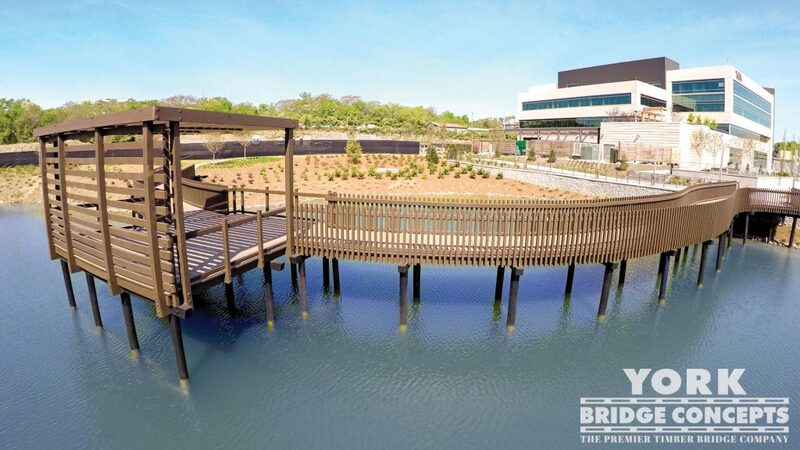 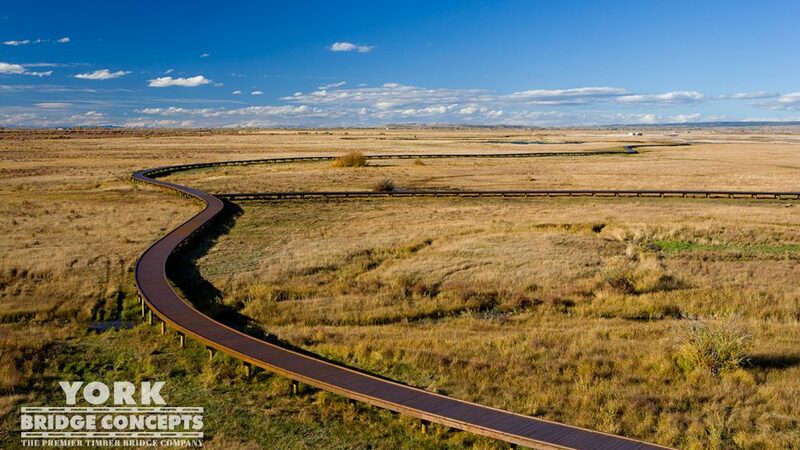 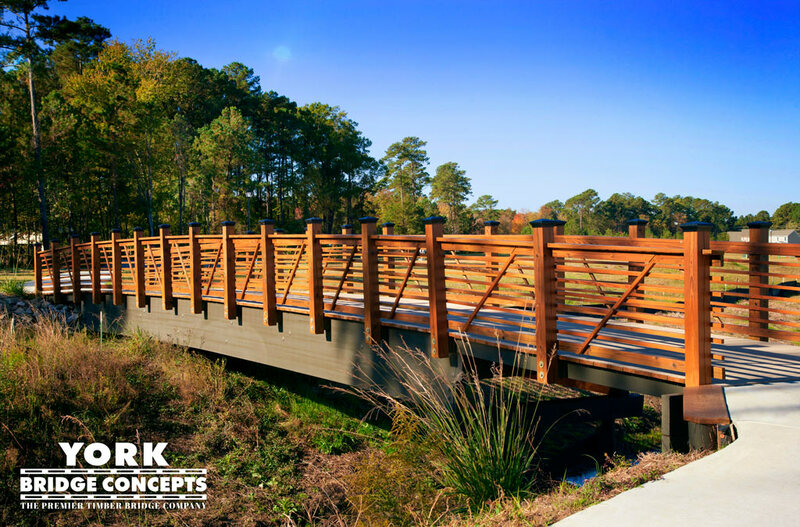 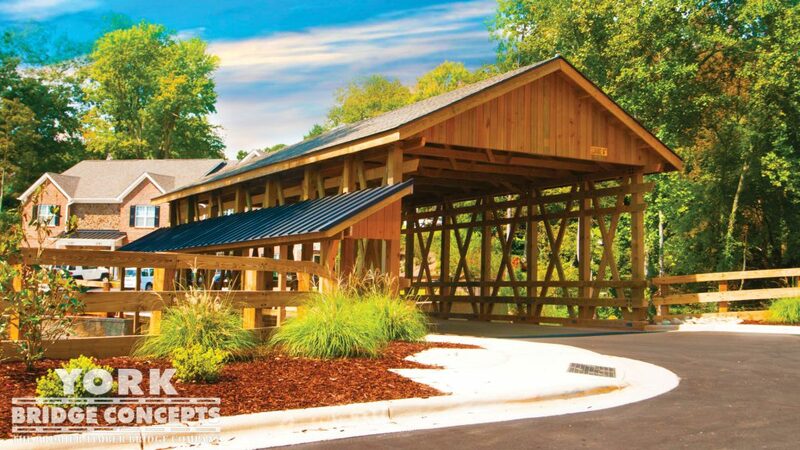 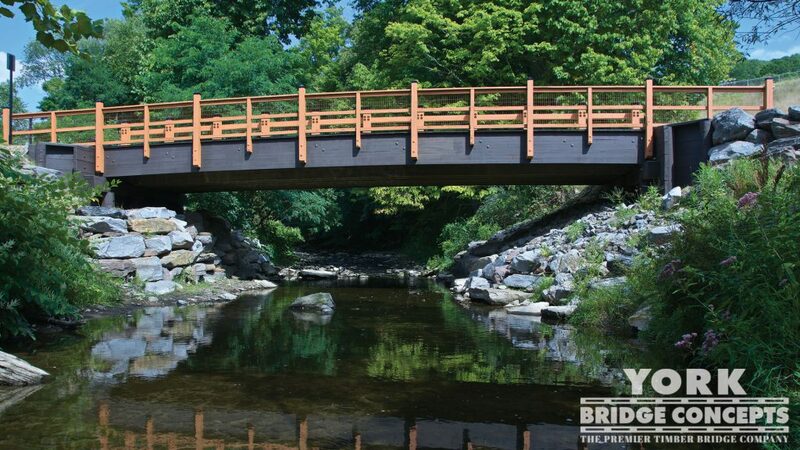 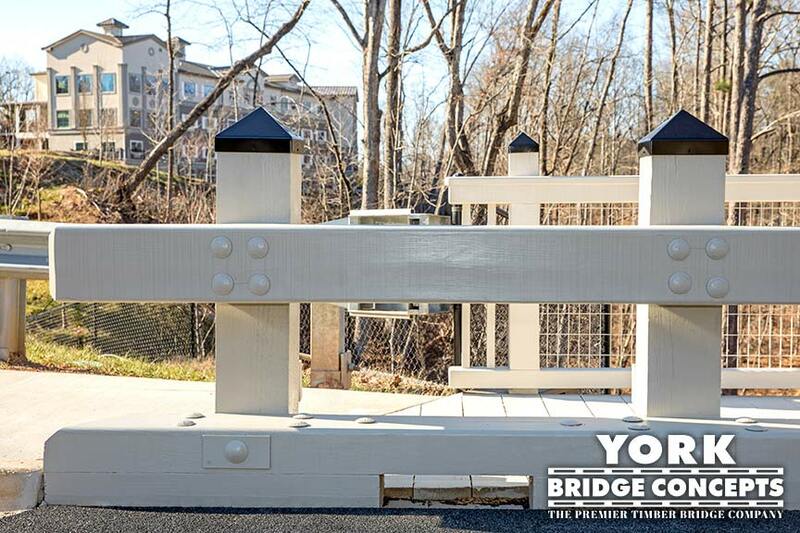 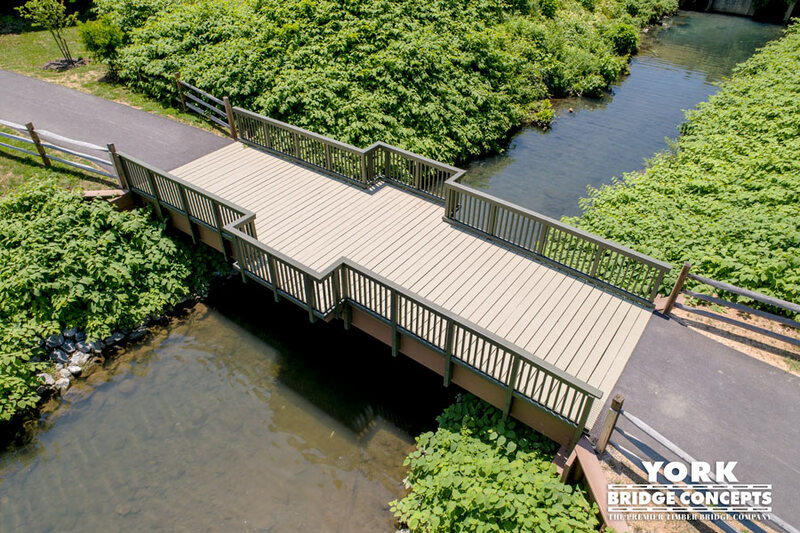 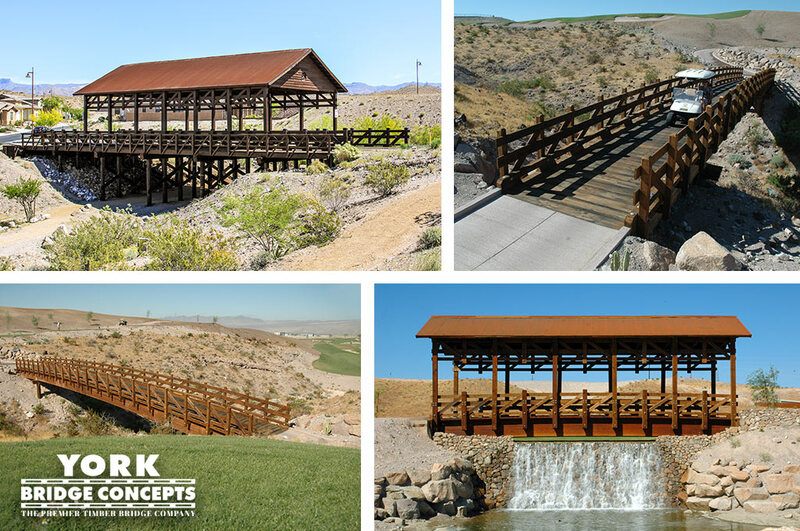 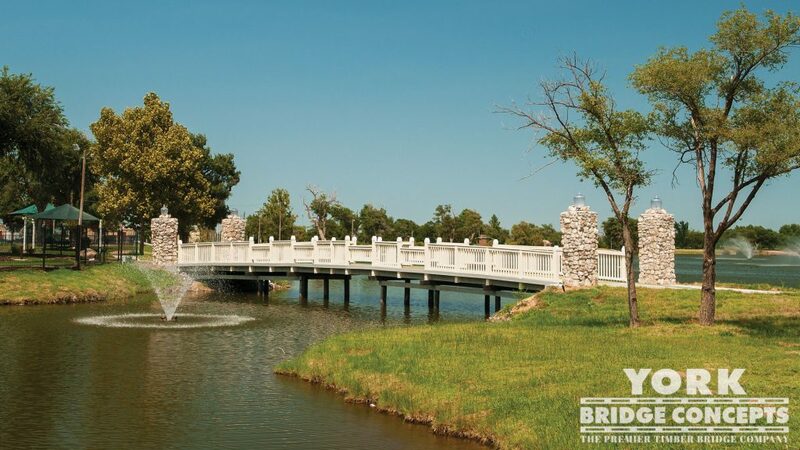 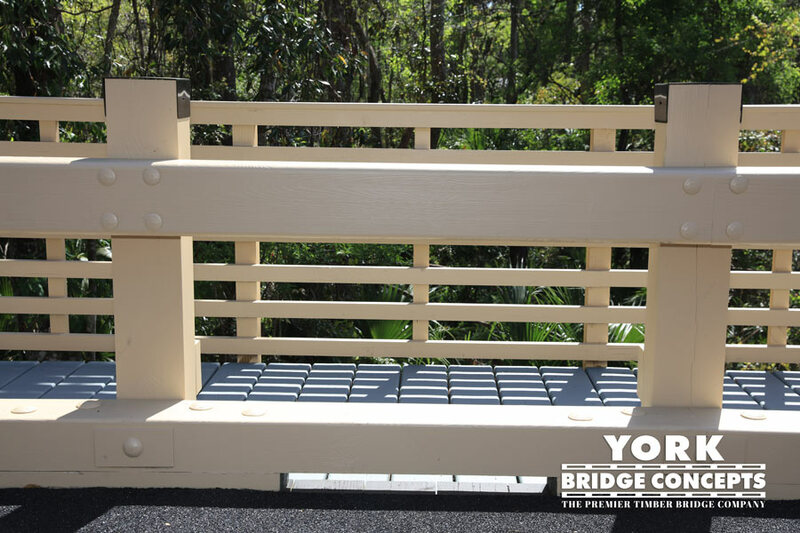 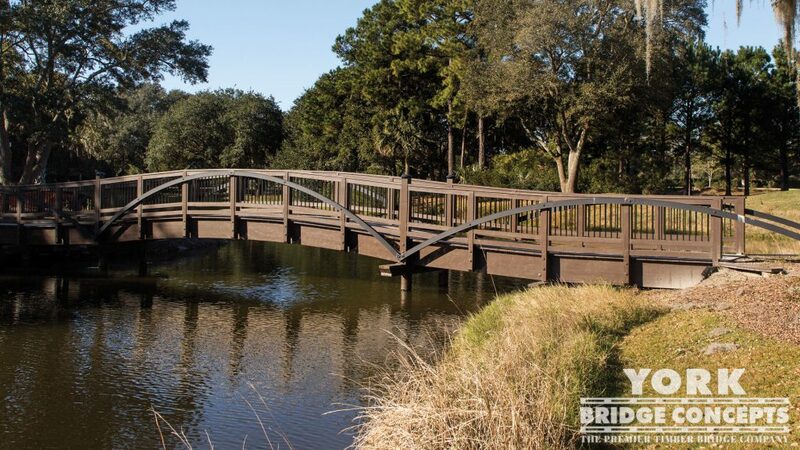 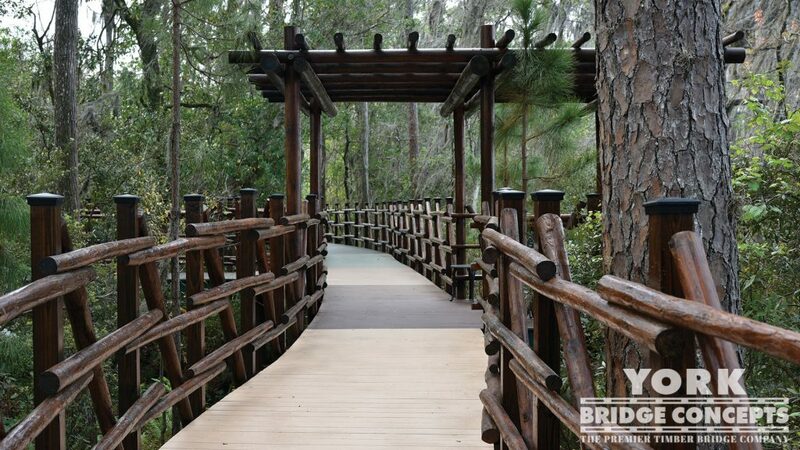 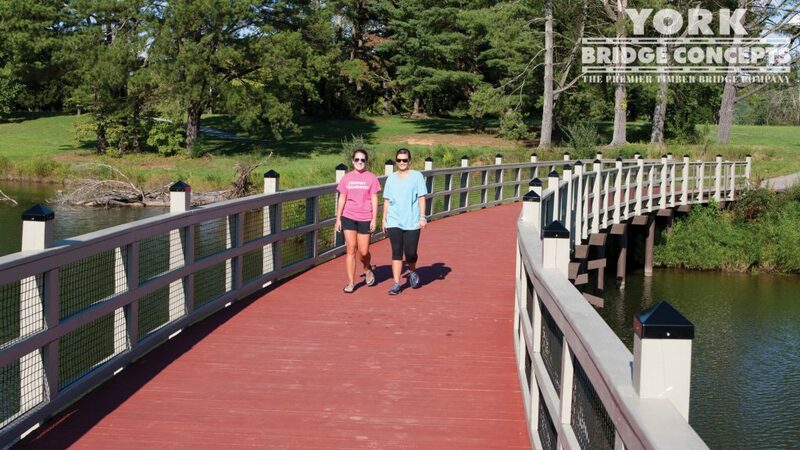 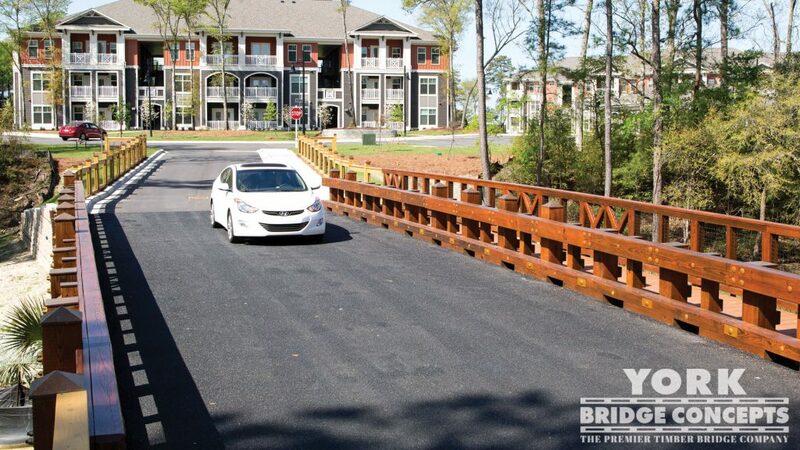 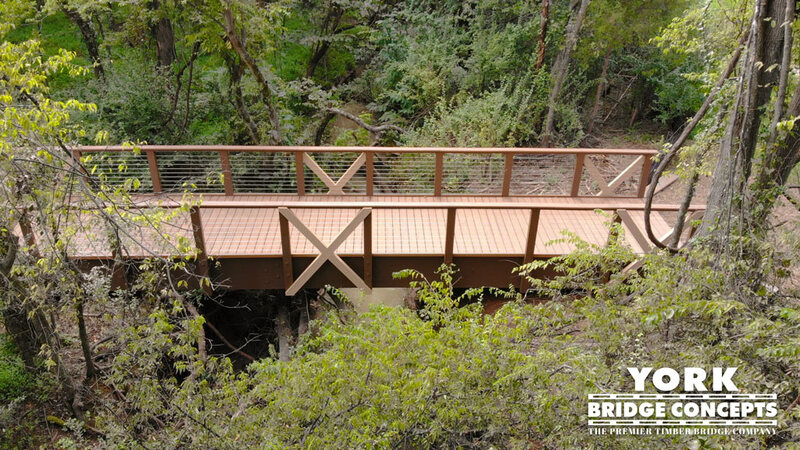 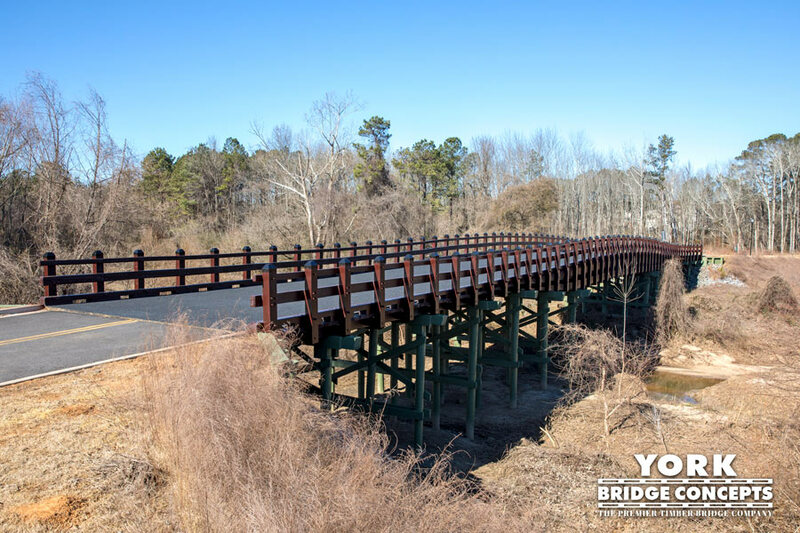 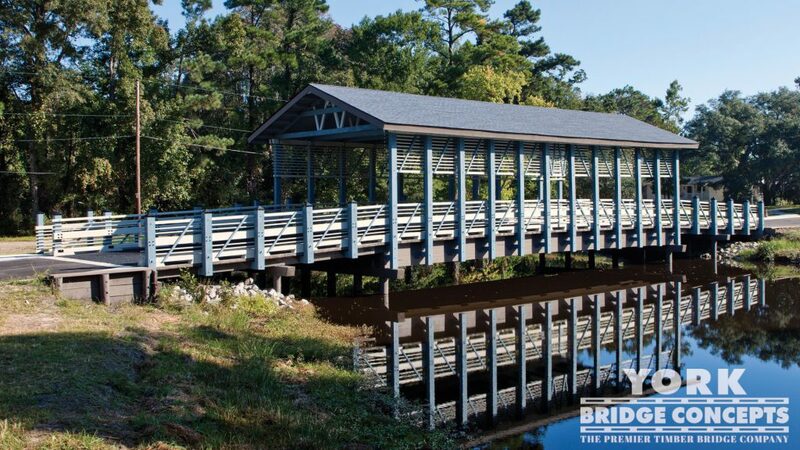 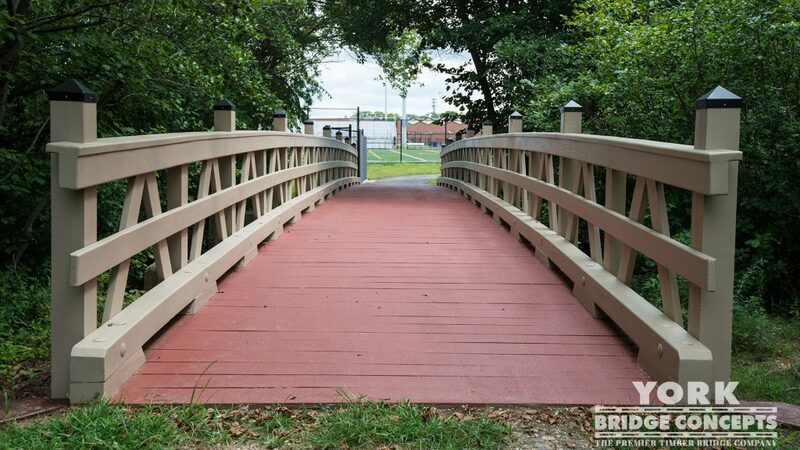 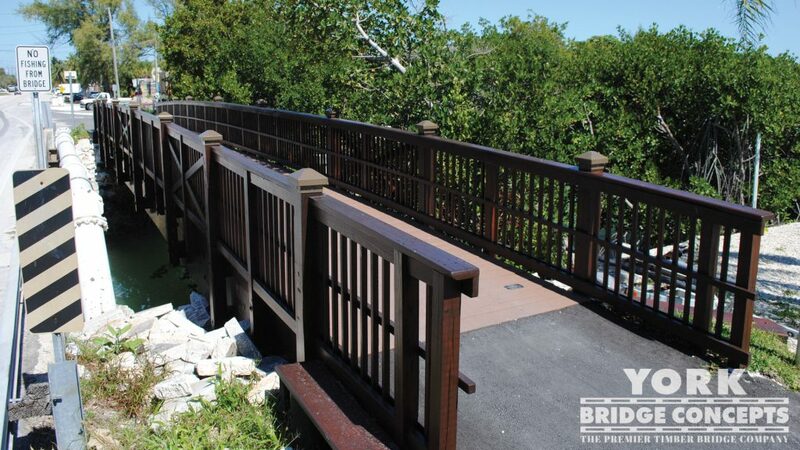 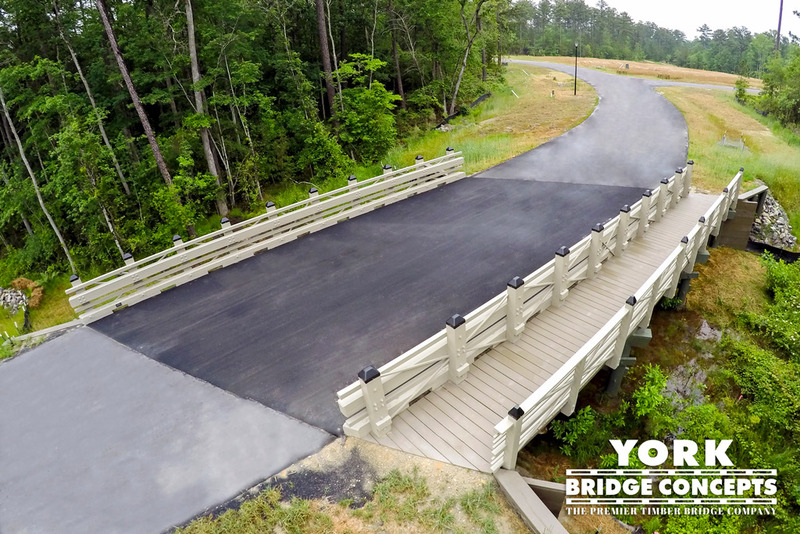 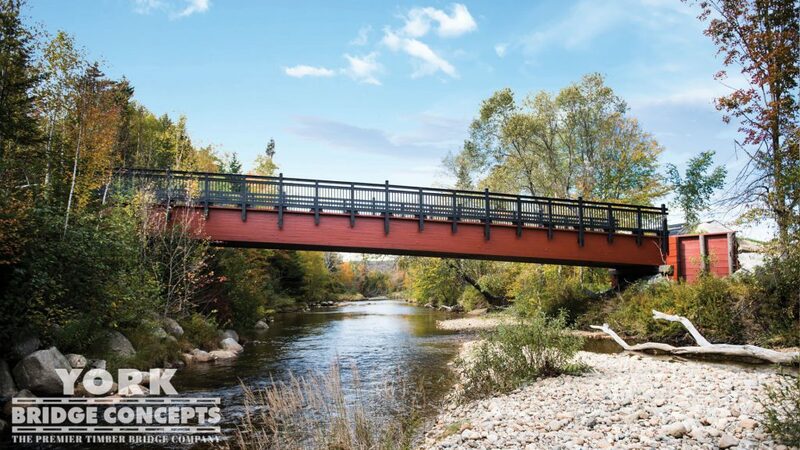 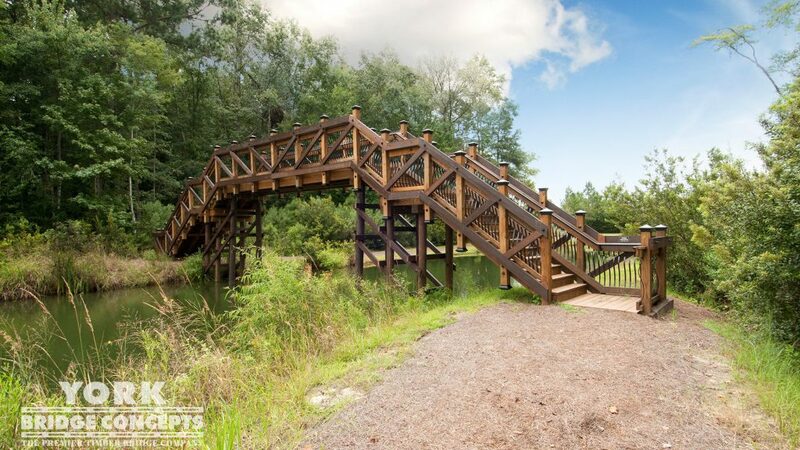 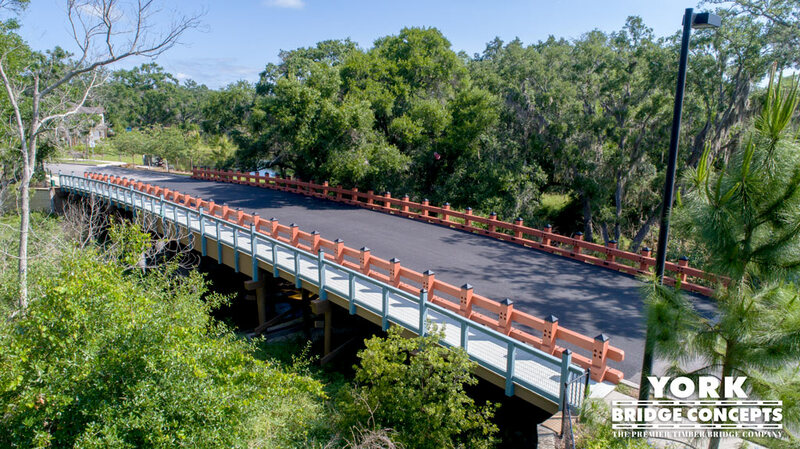 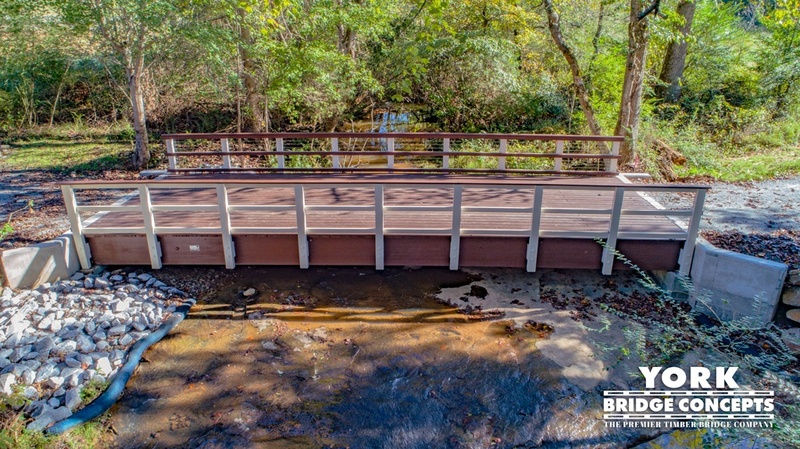 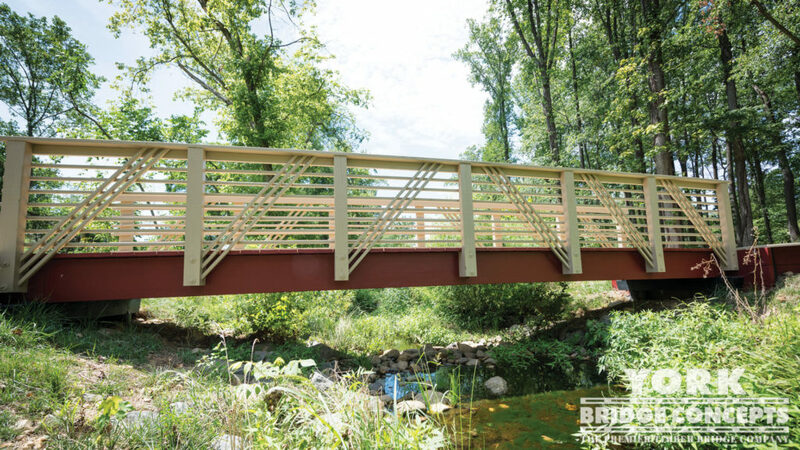 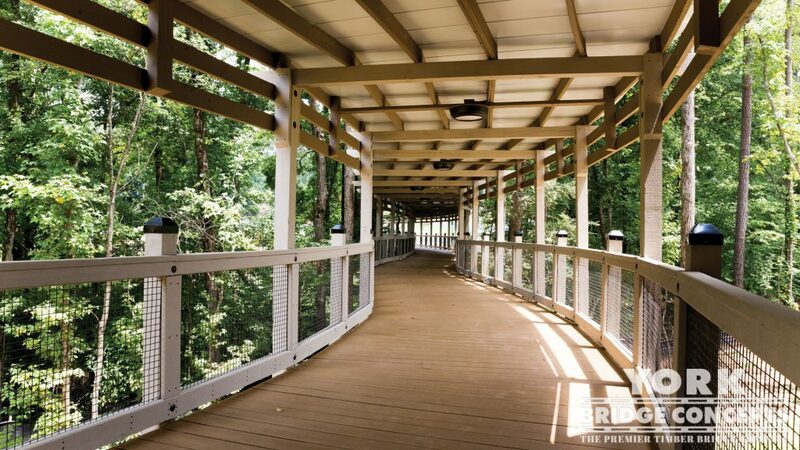 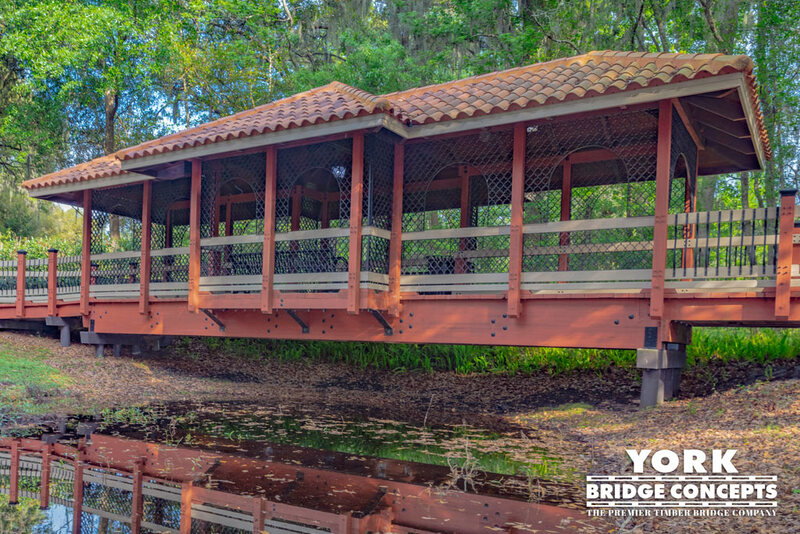 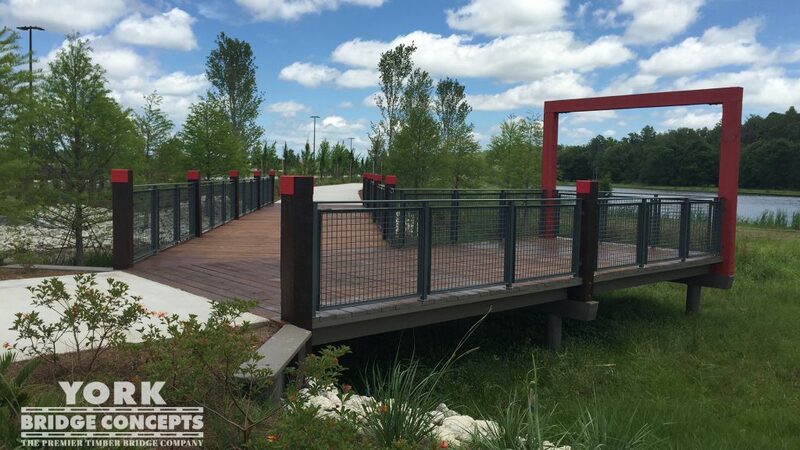 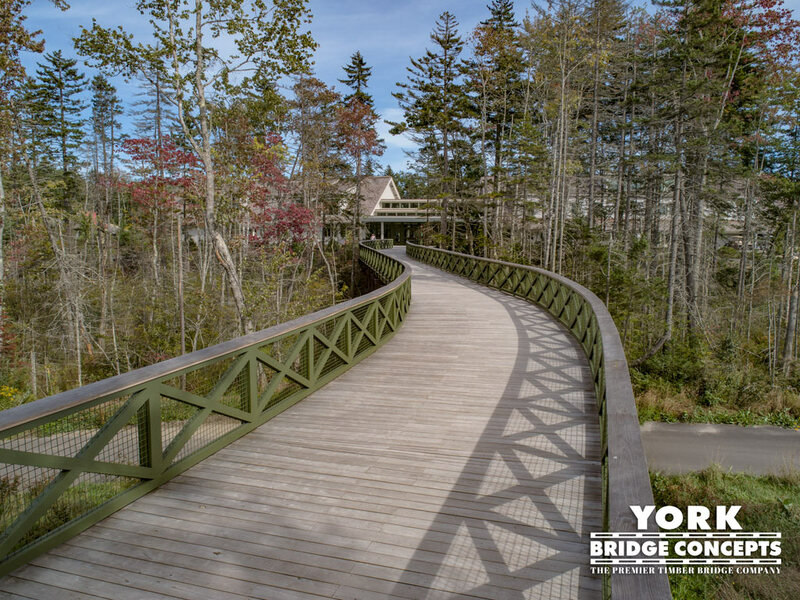 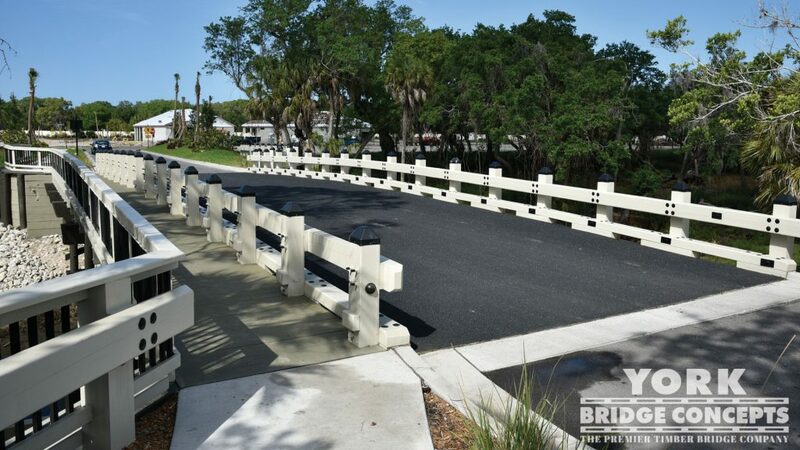 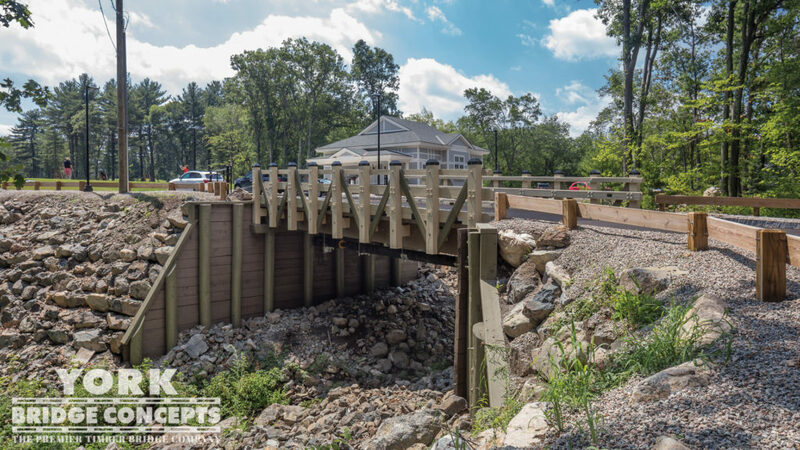 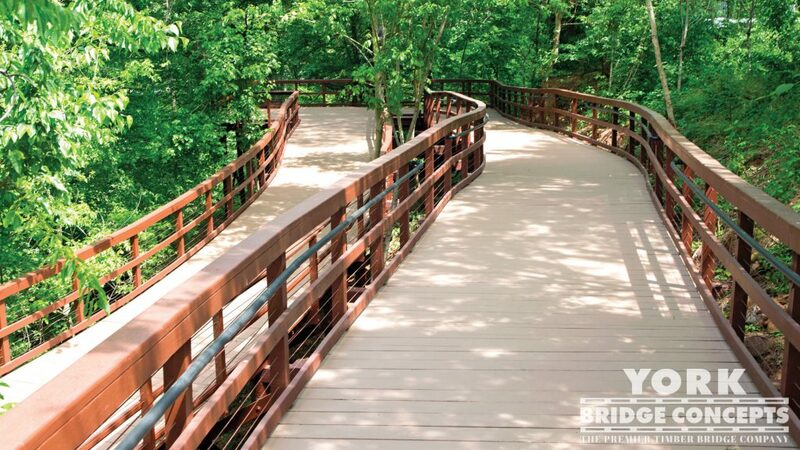 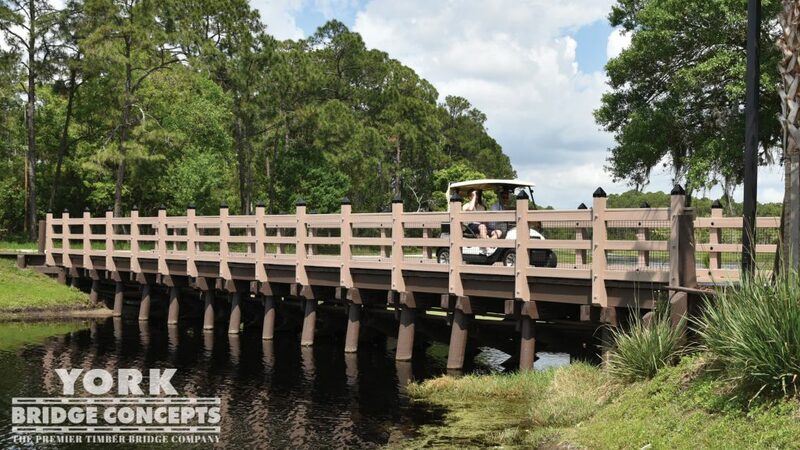 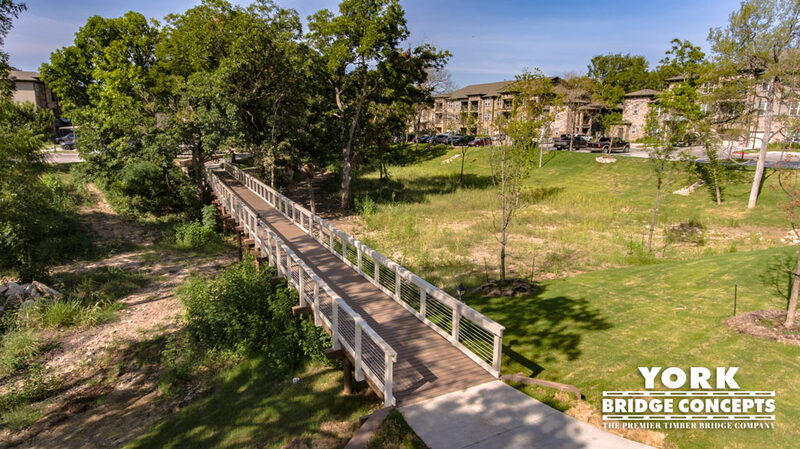 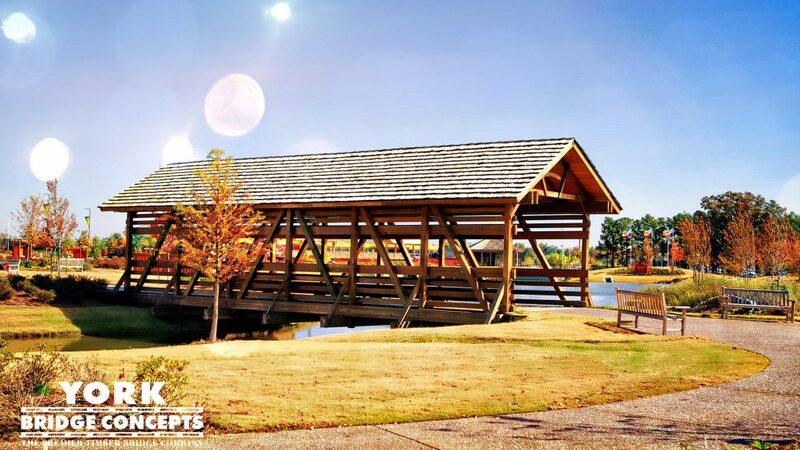 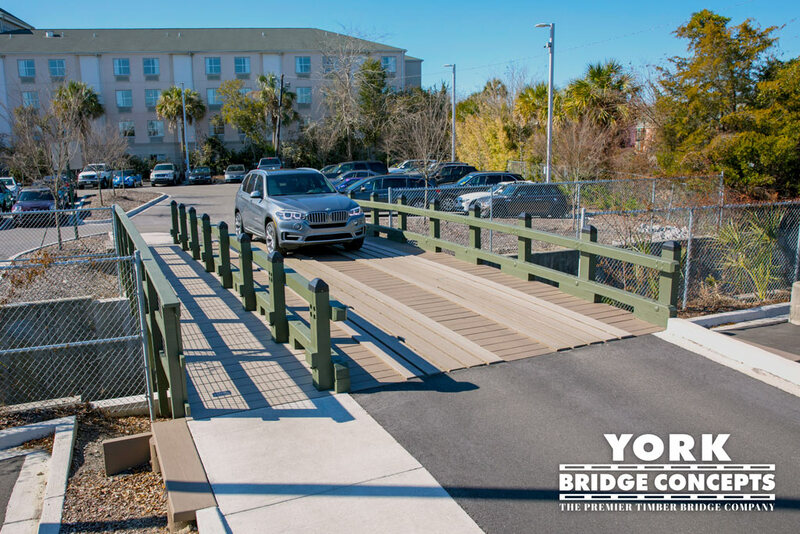 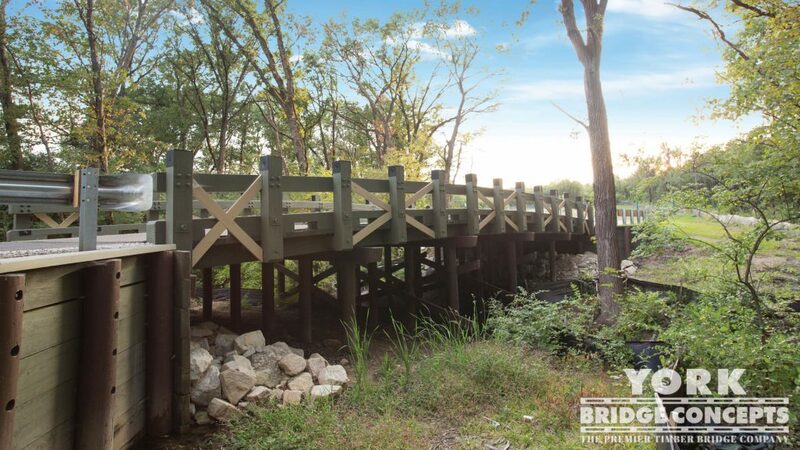 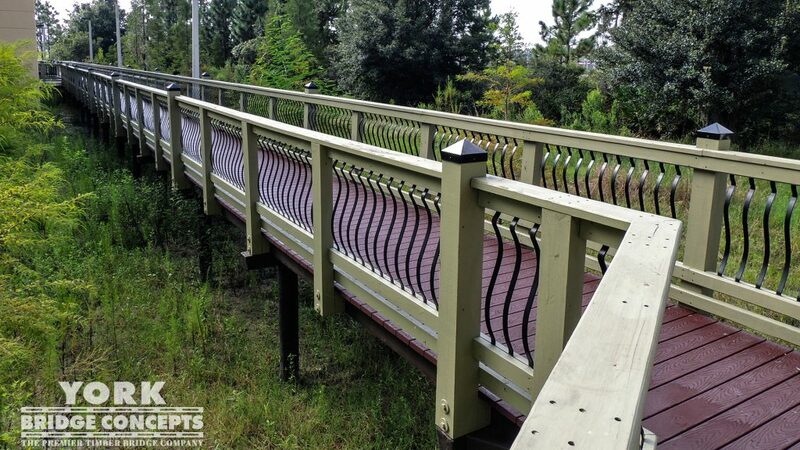 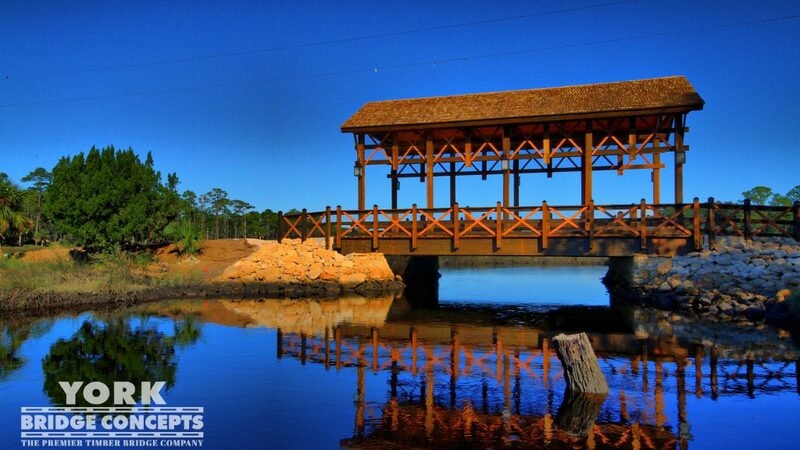 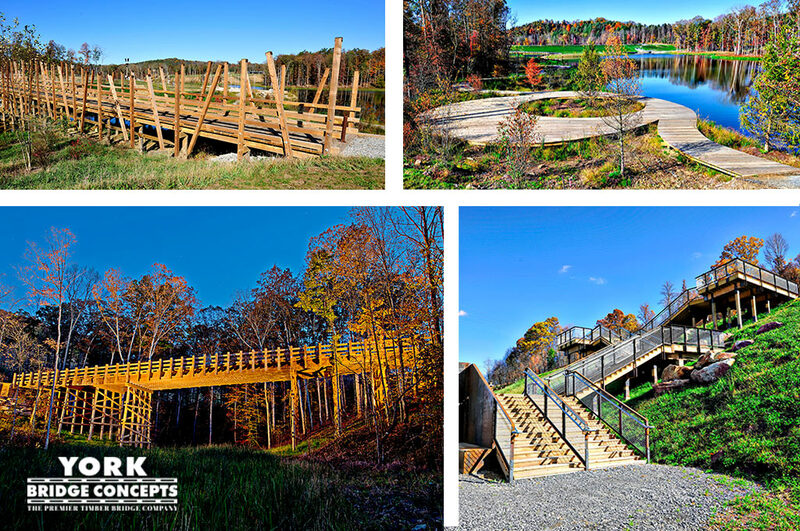 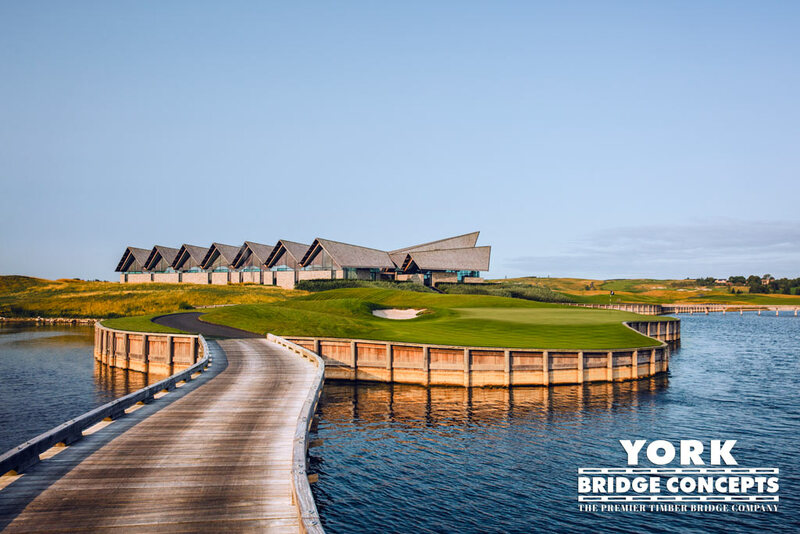 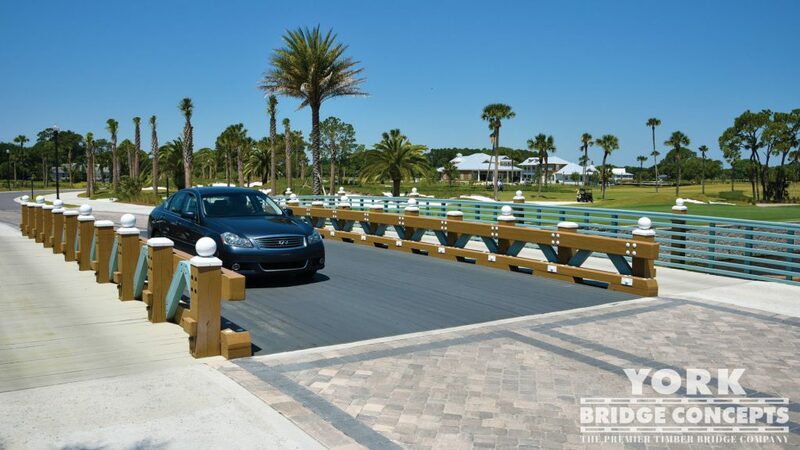 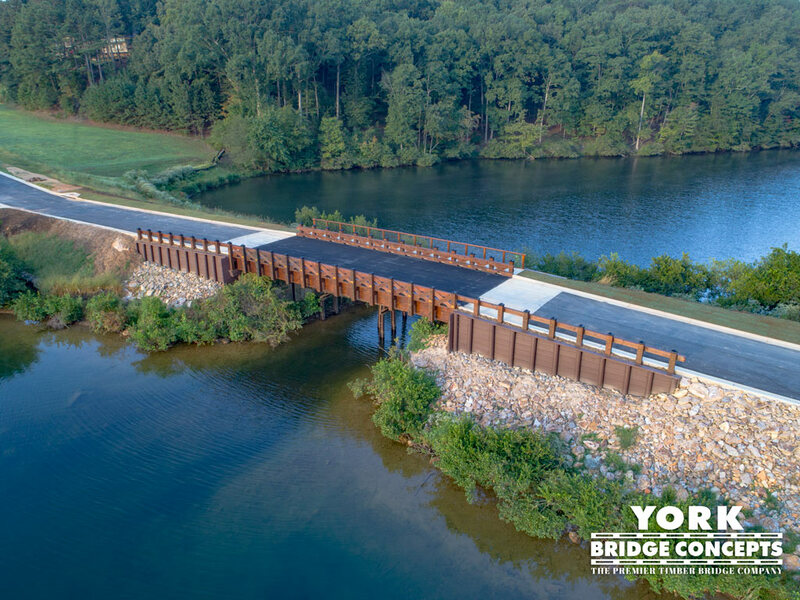 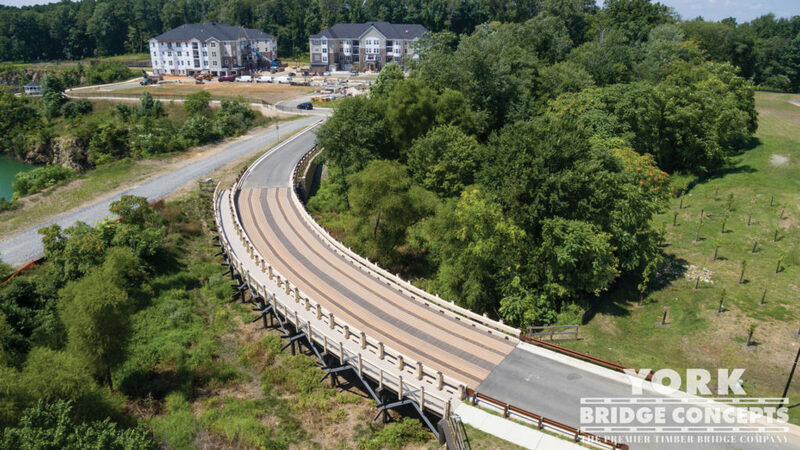 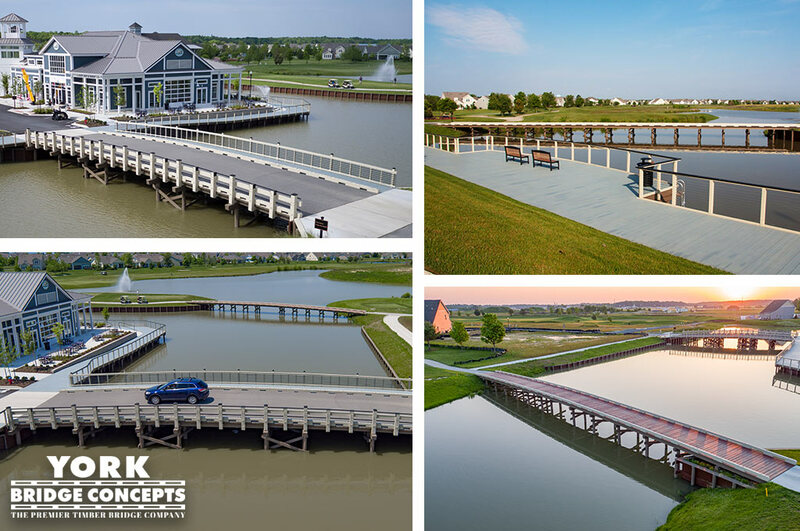 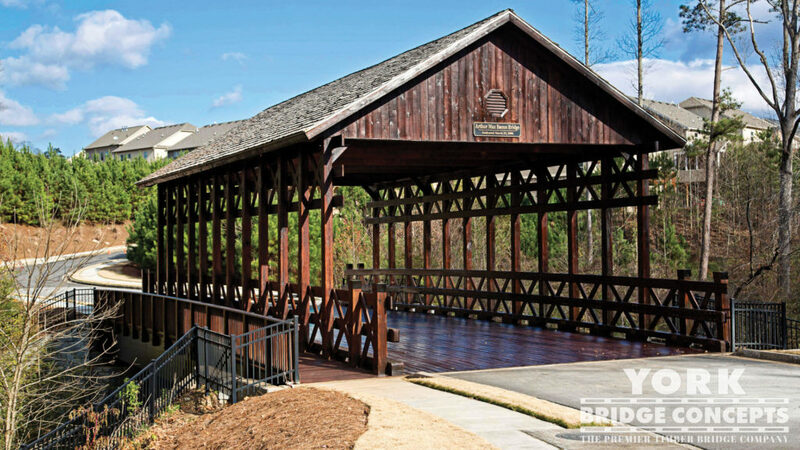 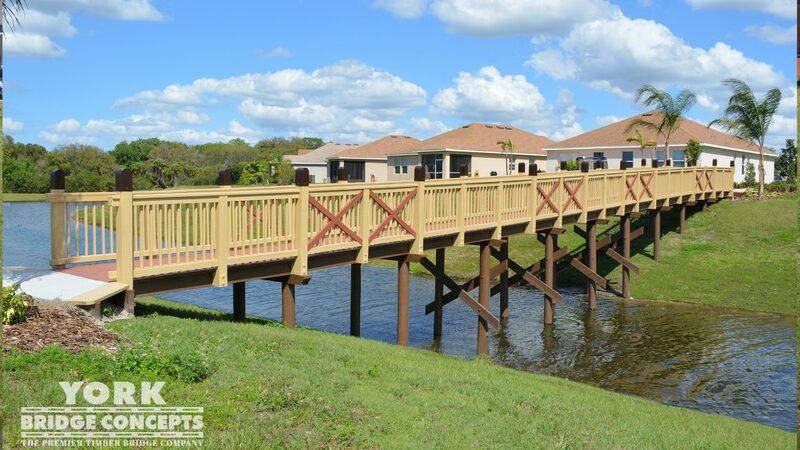 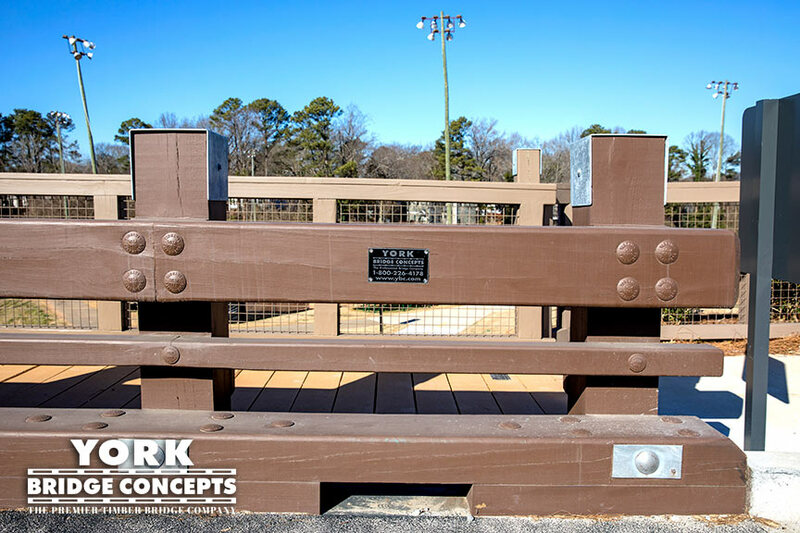 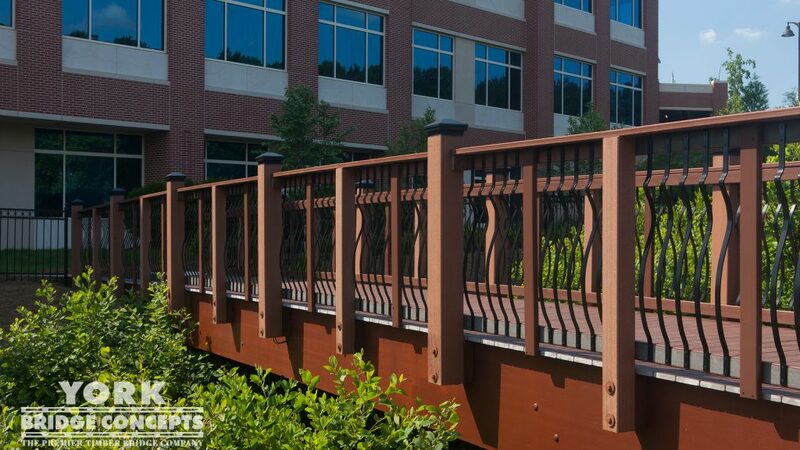 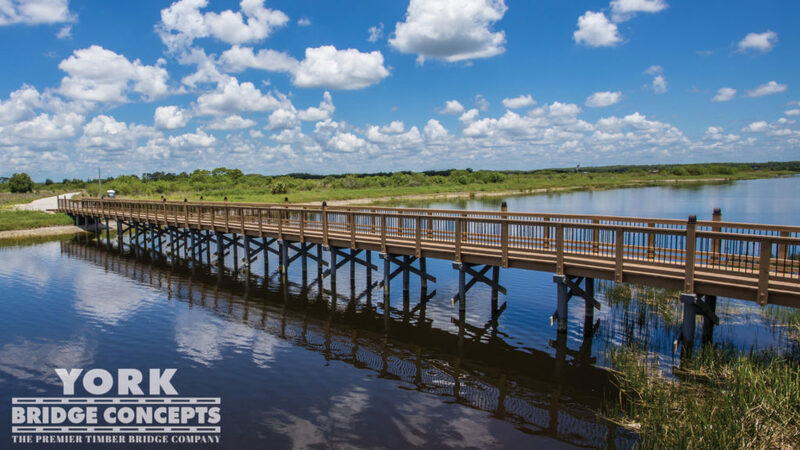 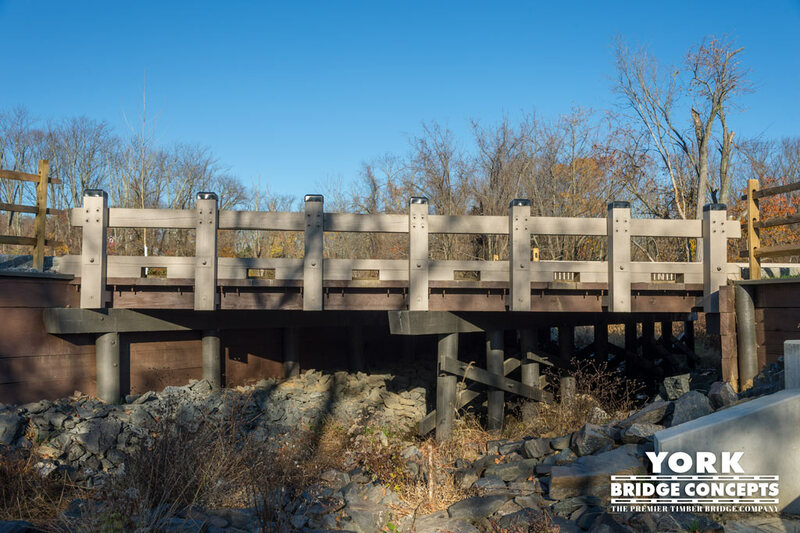 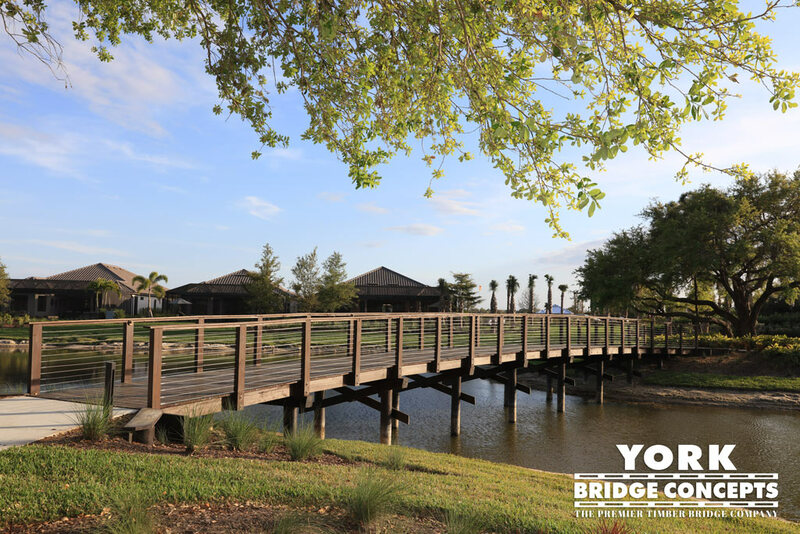 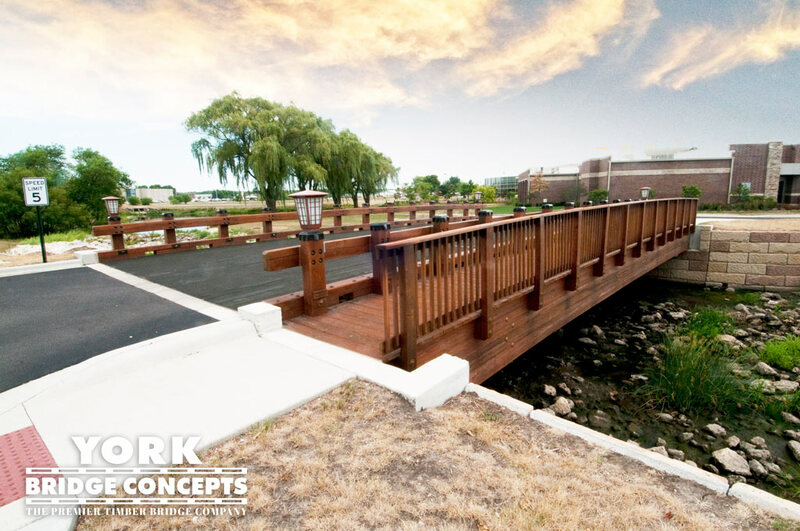 York Bridge Concepts™ has designed and built an exclusive Timber Vehicular Bridge, a masterpiece woven into the serene landscape that connects to the Winchester Country Club’s new Golf Learning Center. 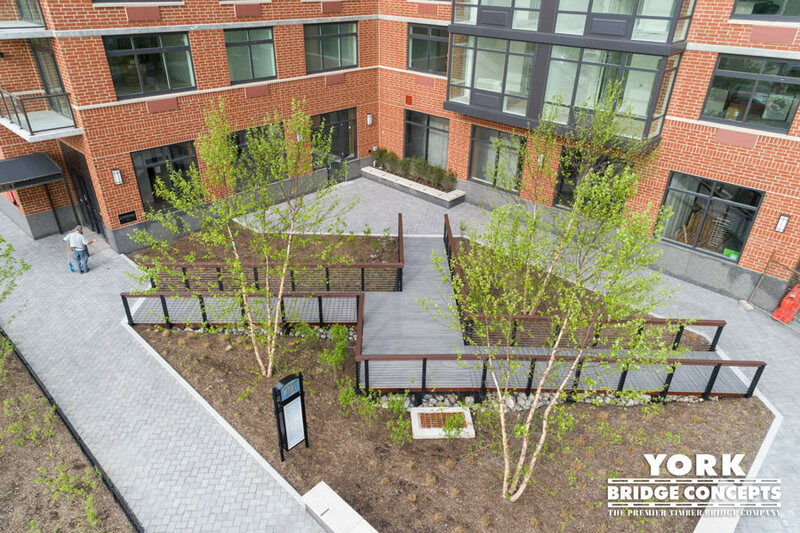 YBC overcame the challenge of subsurface bedrock by using a combination of drilling and concrete footing to stabilize the foundations. 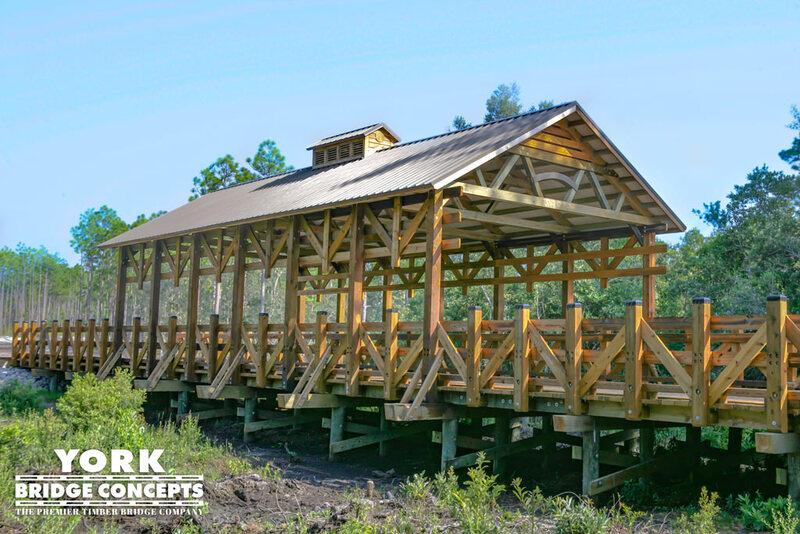 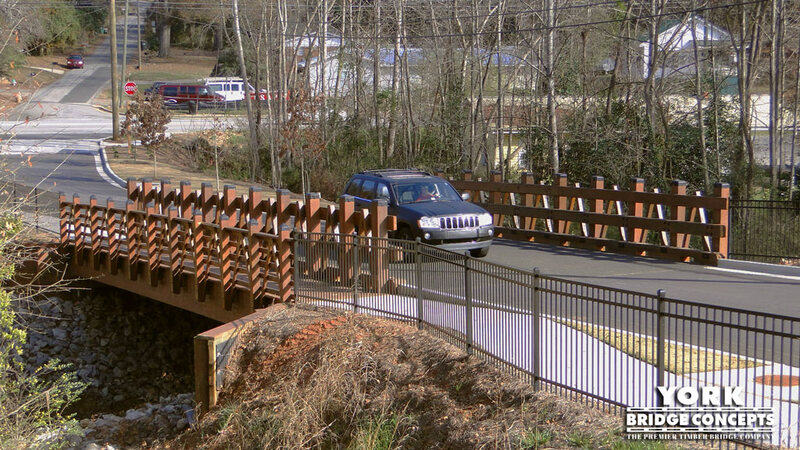 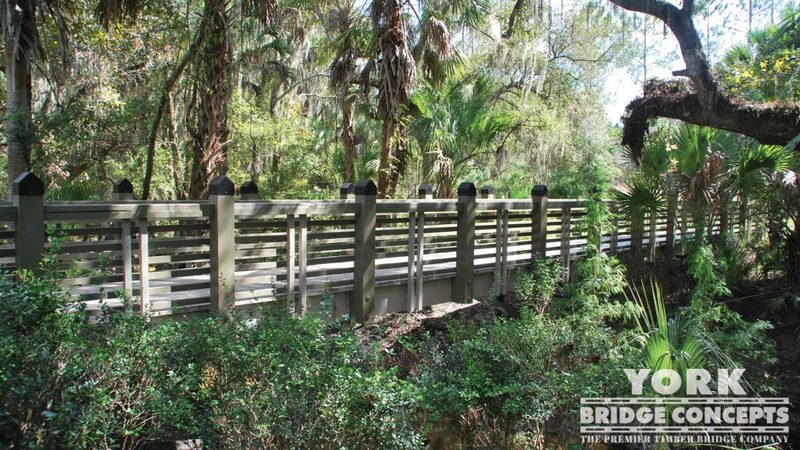 The 18’ high headwalls and wingwalls are built entirely out of timbers that taper to grade supporting the structure while crossing the creek. 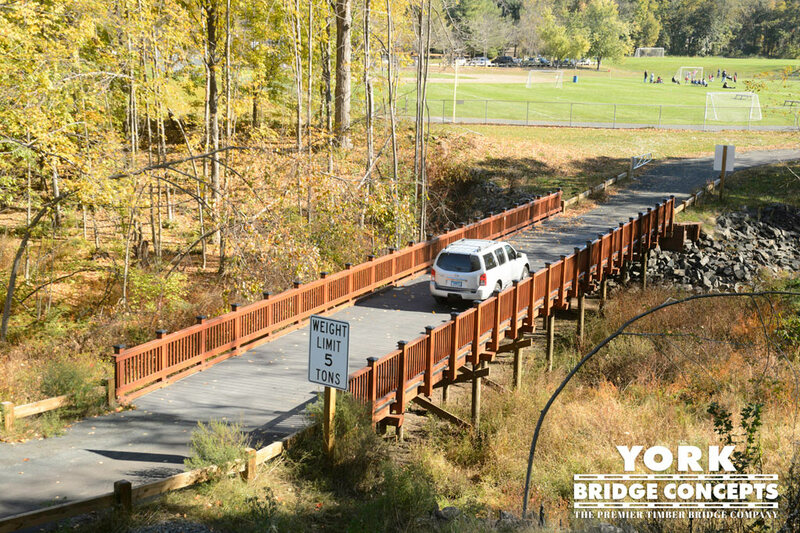 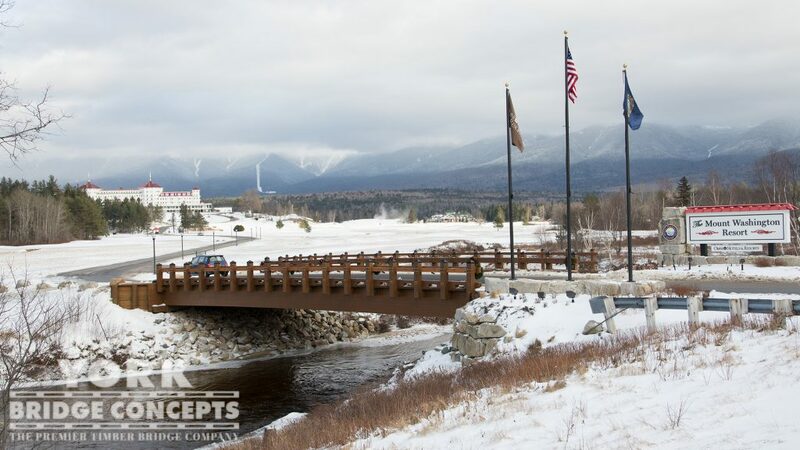 YBC is honored to participate in the partnership through the completion of this timber vehicular bridge that will be utilized for years to come. 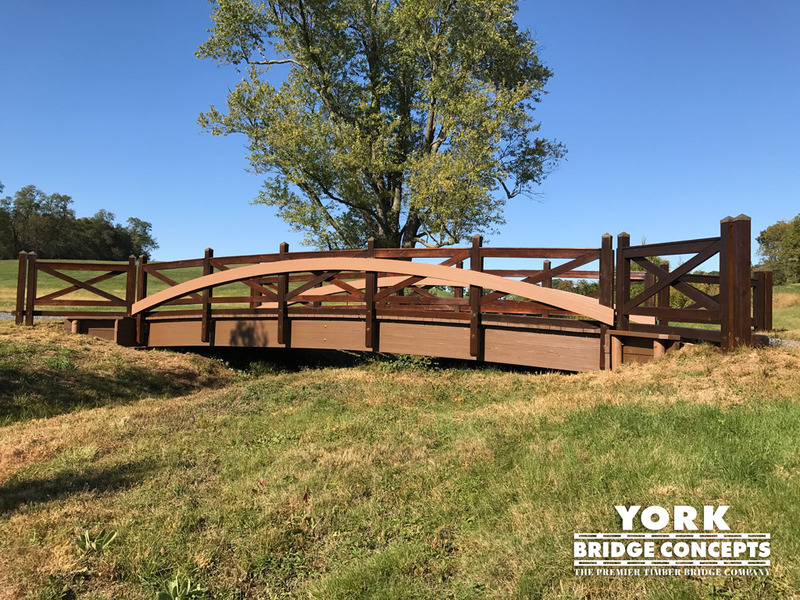 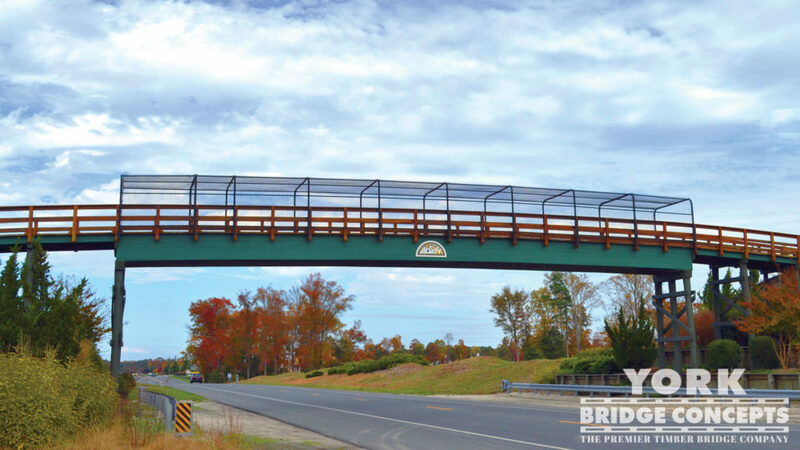 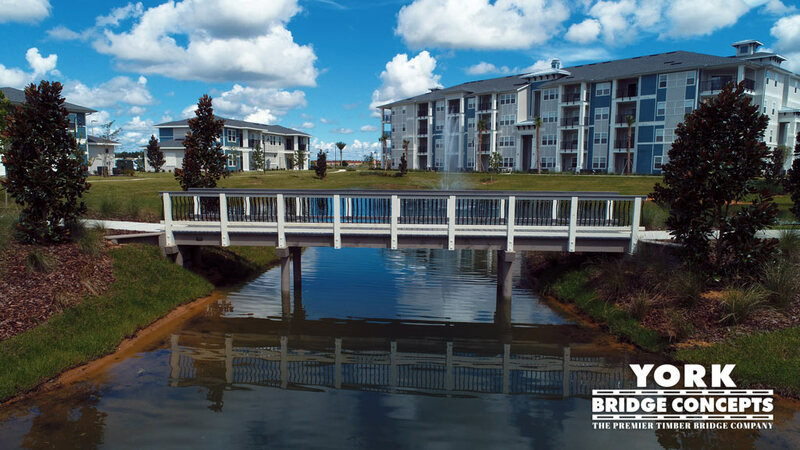 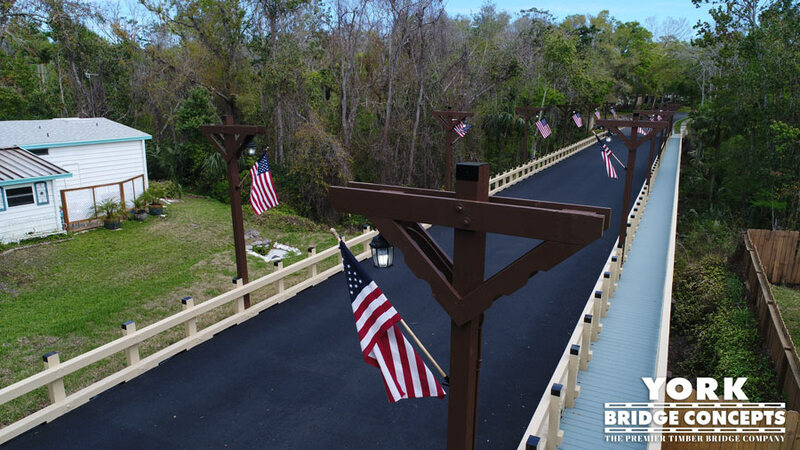 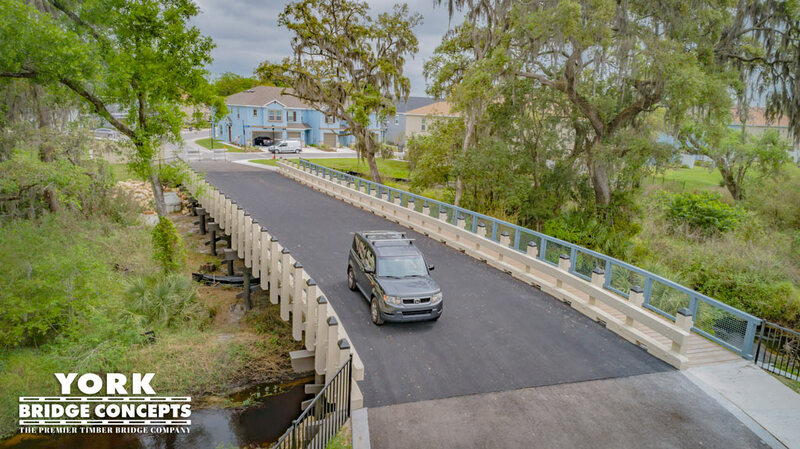 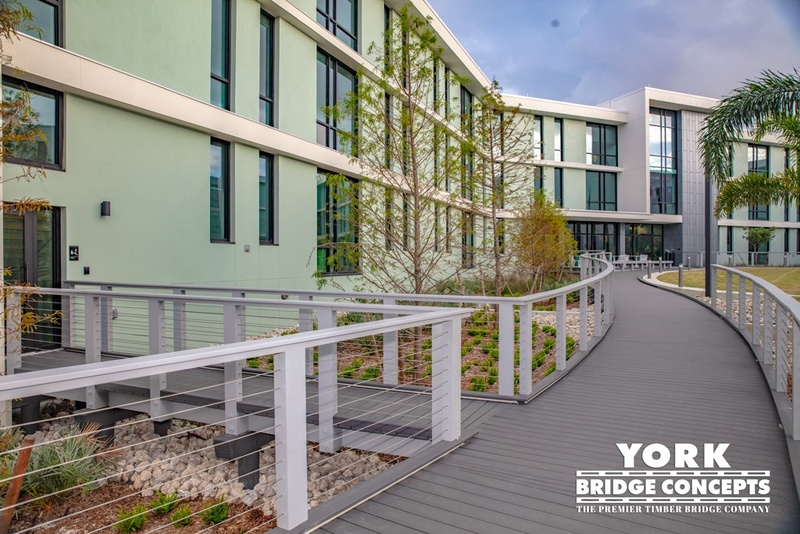 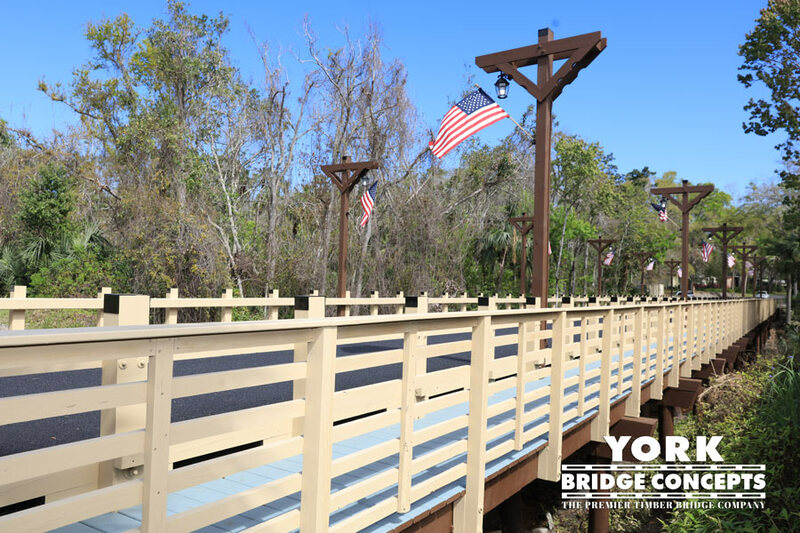 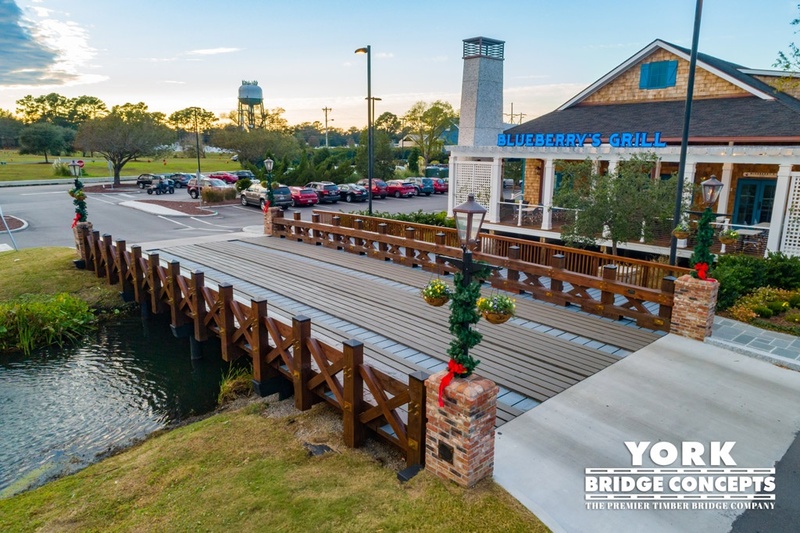 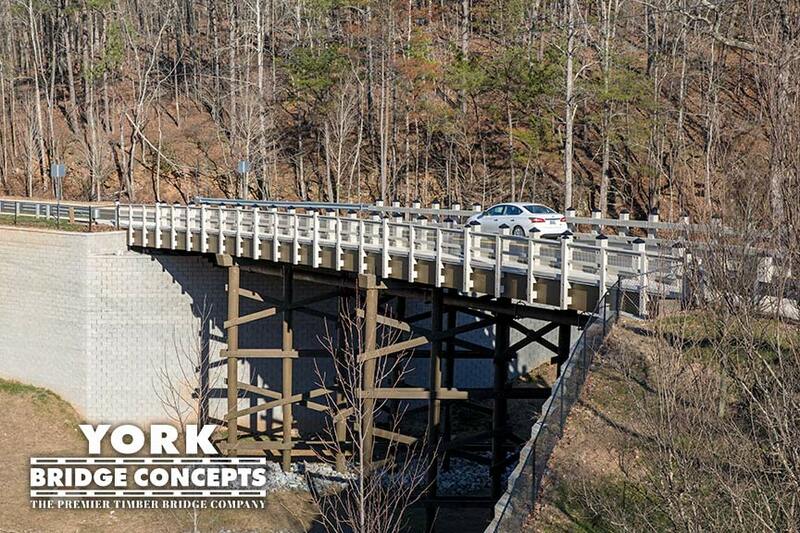 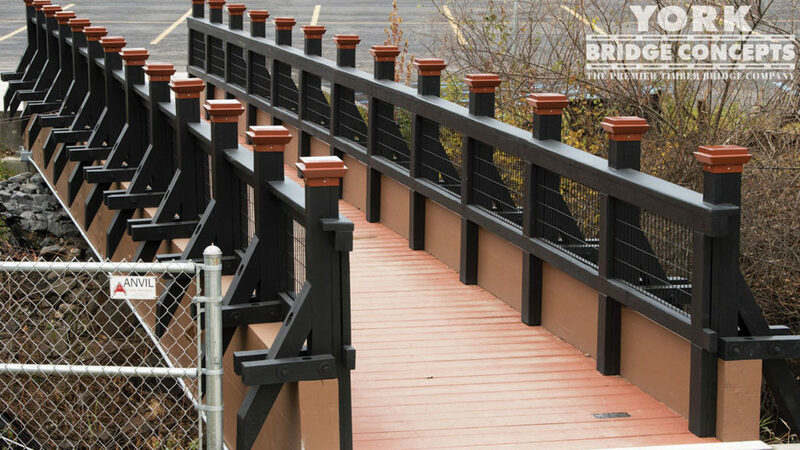 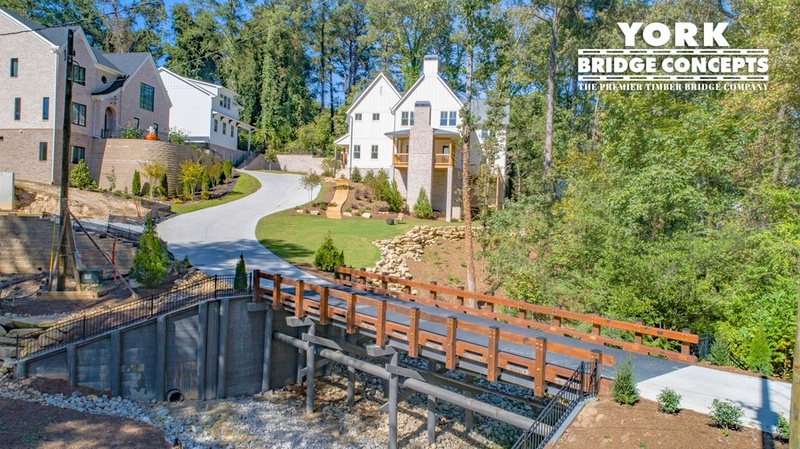 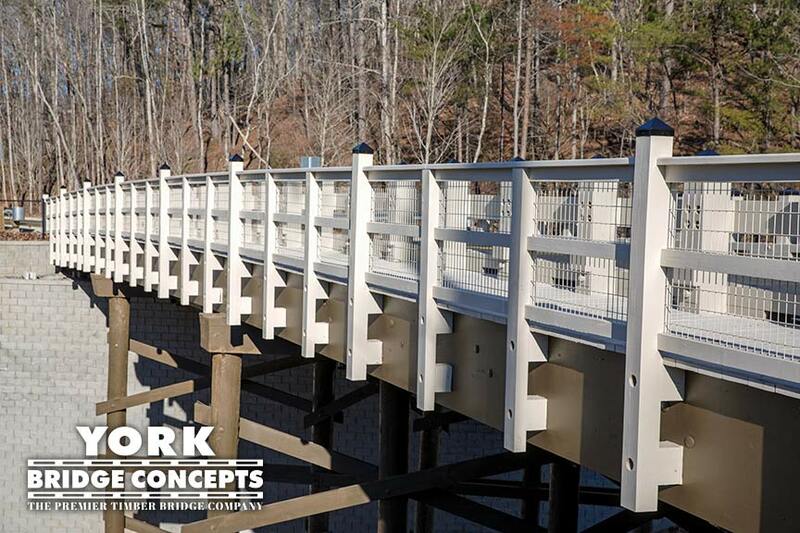 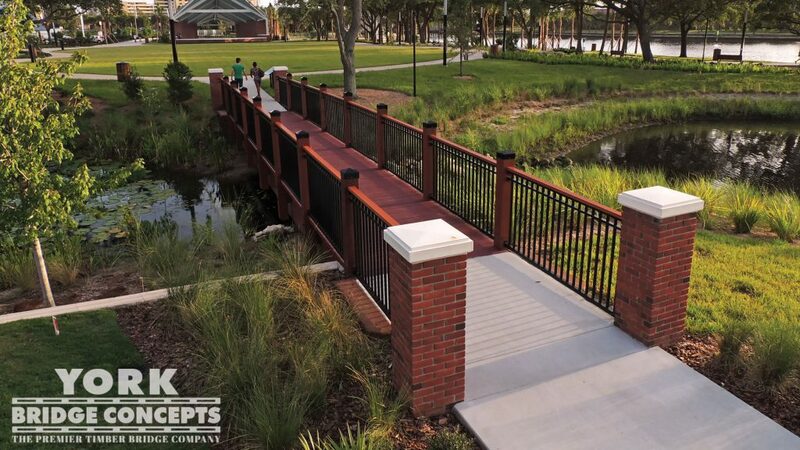 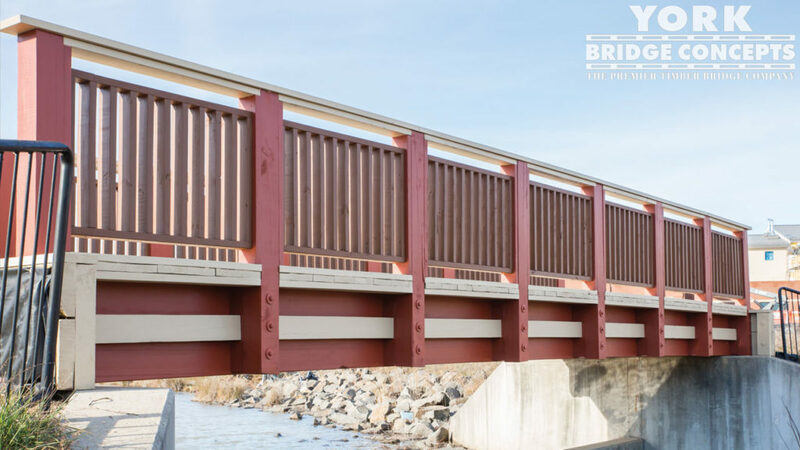 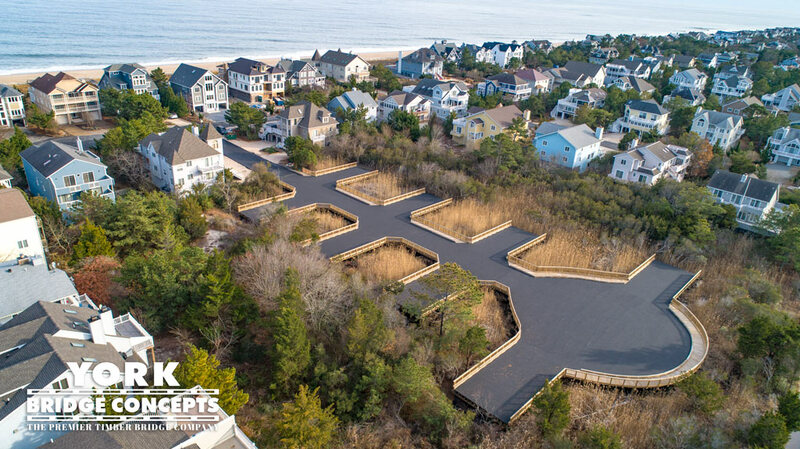 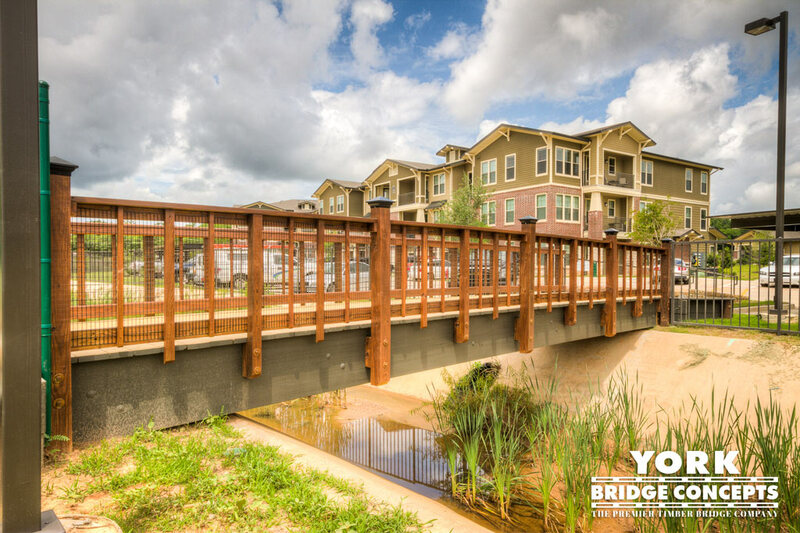 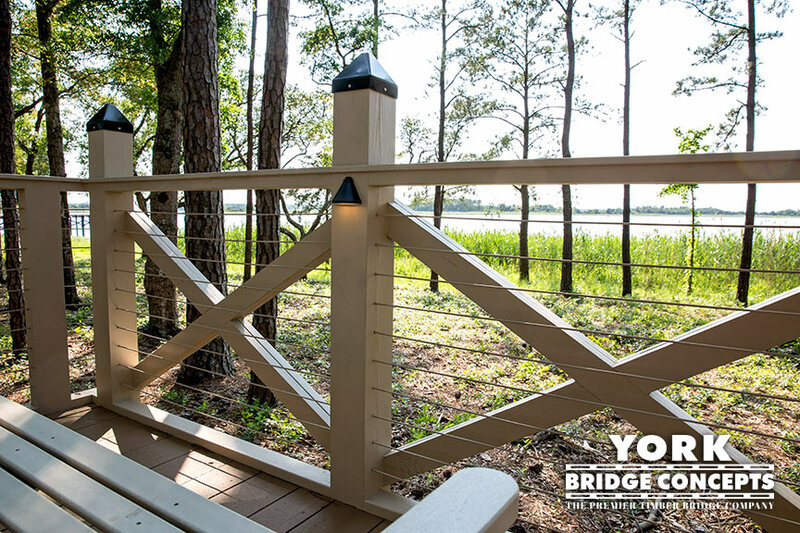 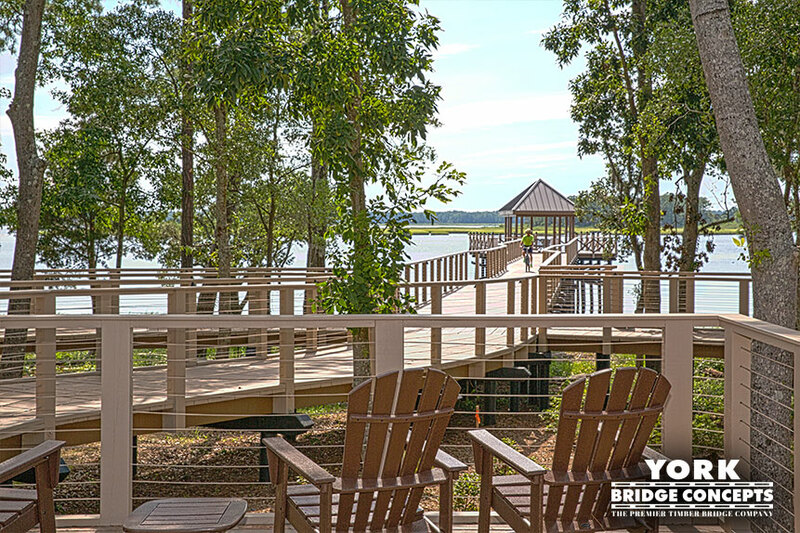 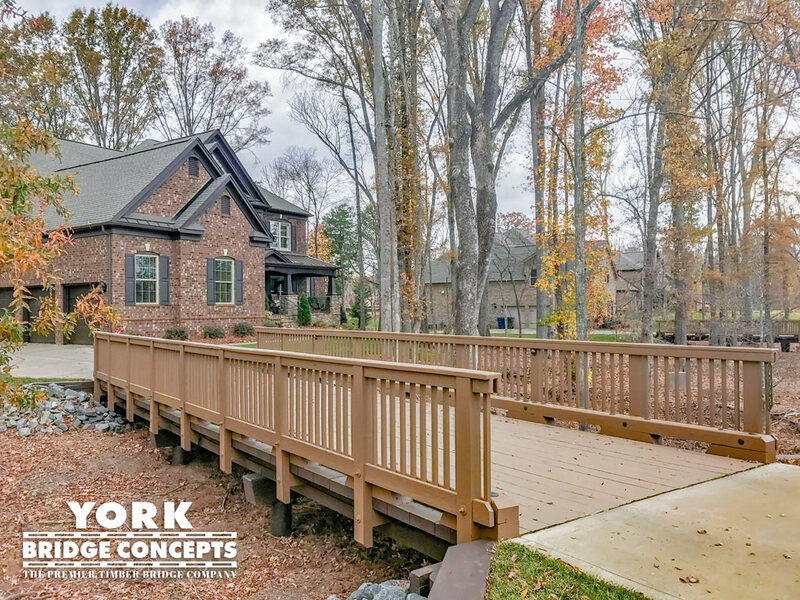 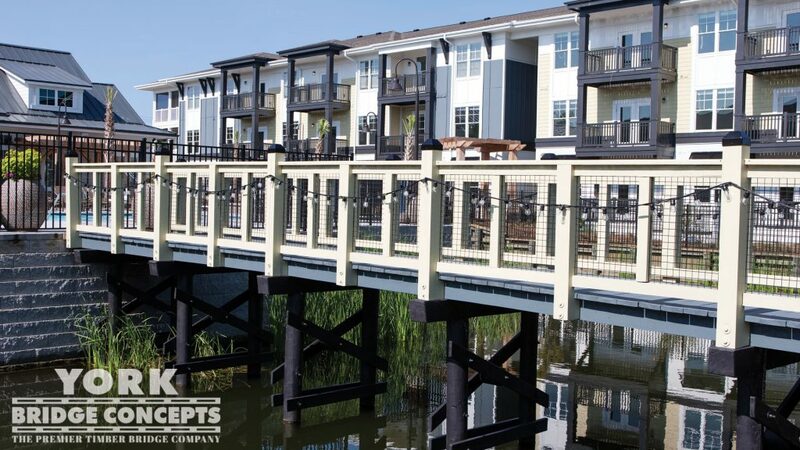 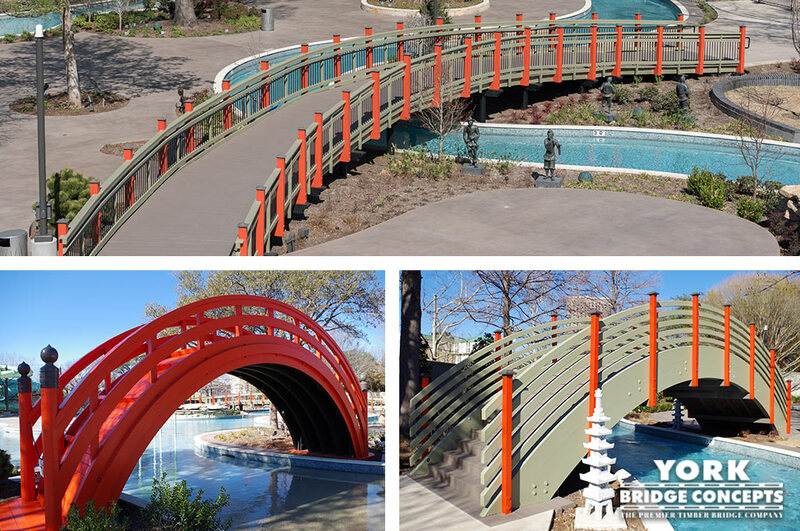 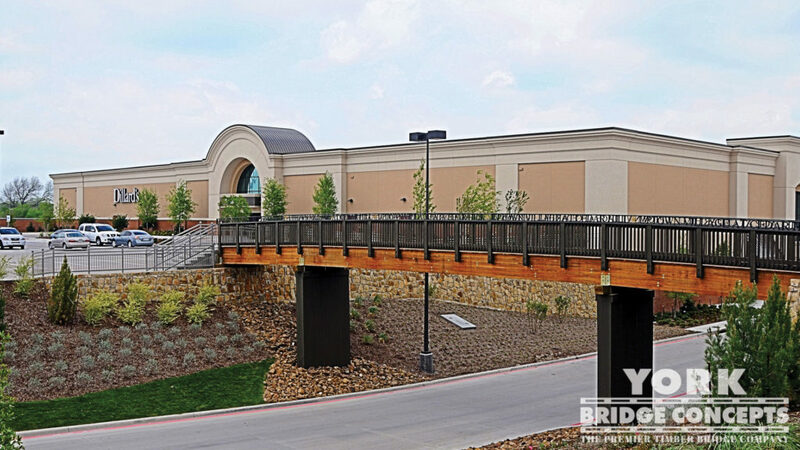 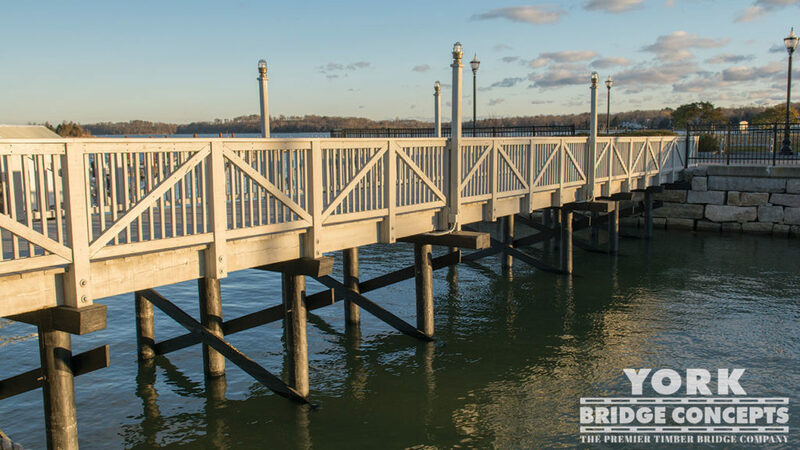 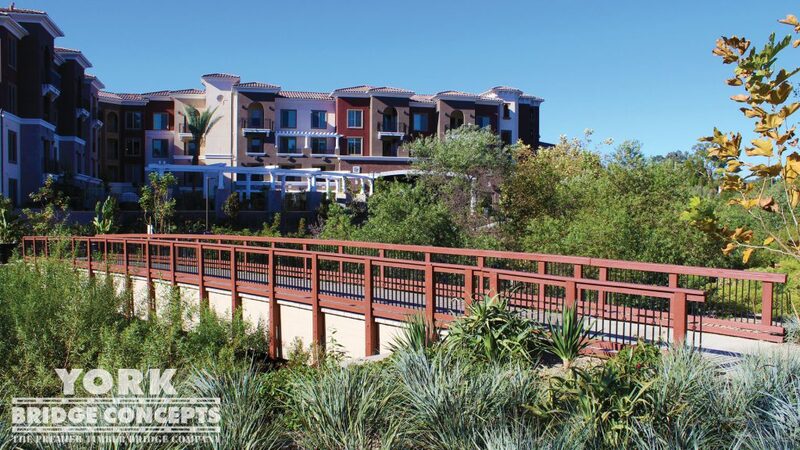 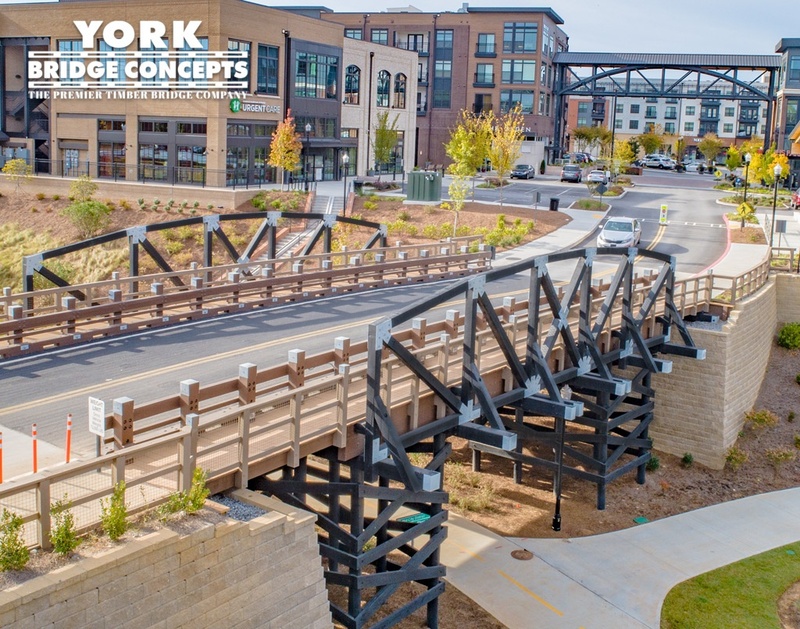 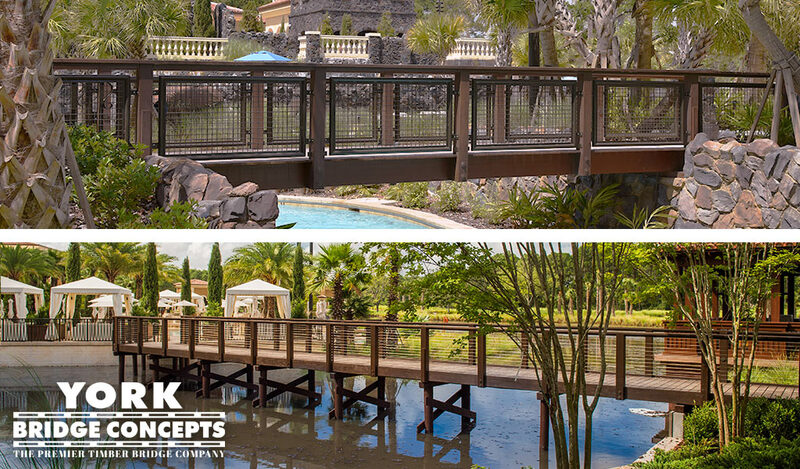 "Working with York Bridge Concepts was an absolute pleasure - they provided flexible design & budget options that best fit our project's needs. 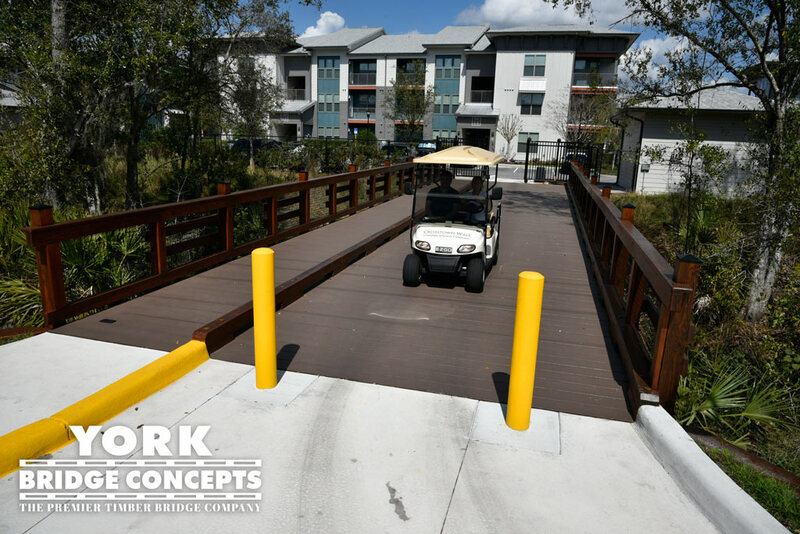 The crews and office staff were professional and hardworking throughout the entire construction process through to completion. 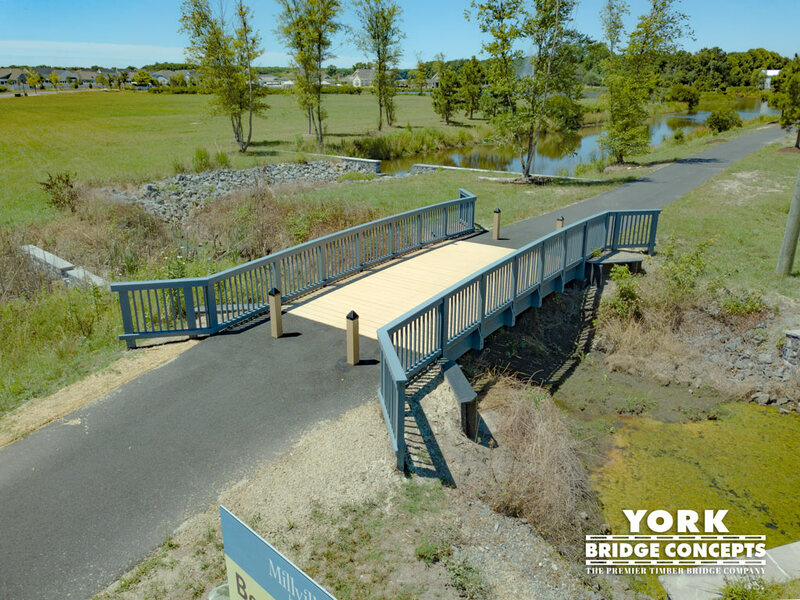 We welcome the opportunity to work with York Bridge again."